❥ LANEIGE Power Essential Skin Refiner "MOISTURE" (200ml. 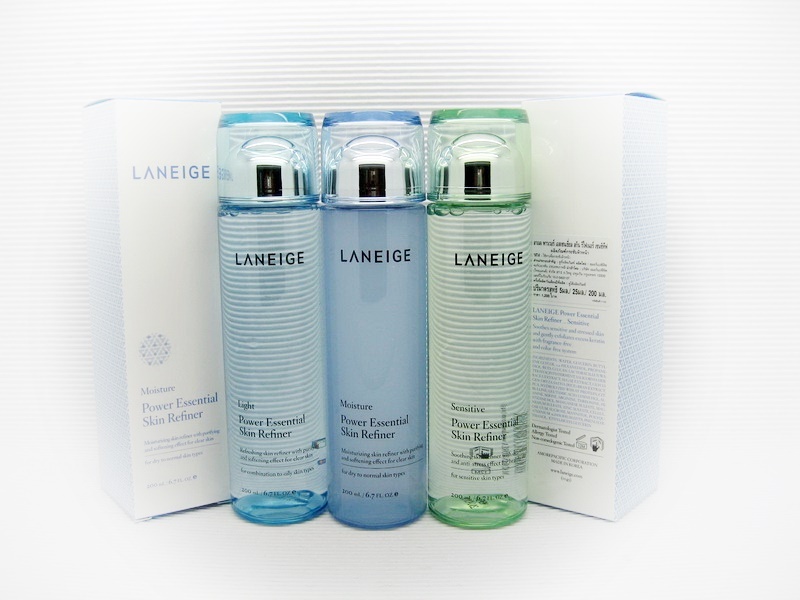 1200.- / 50ml. 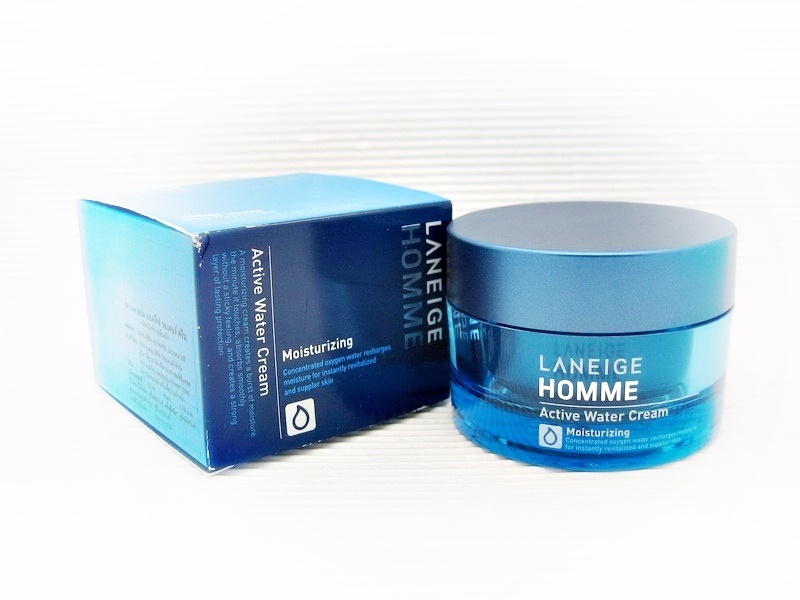 300.-) ขนาด 50ml. 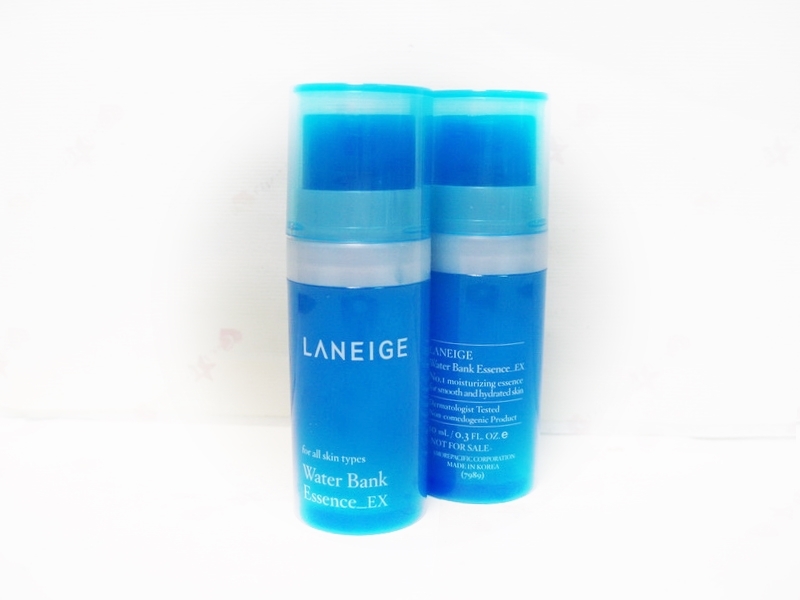 ❥ LANEIGE Balancing Emulsion "MOISTURE" (120ml. 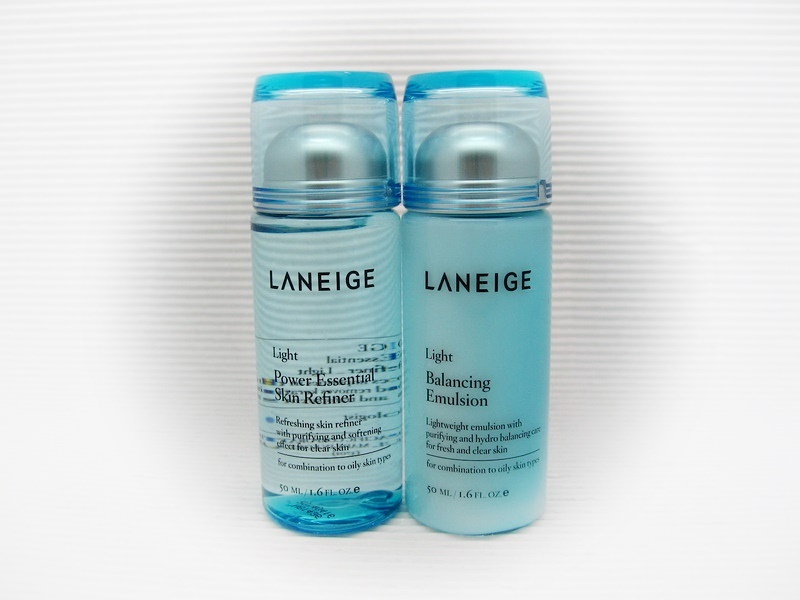 1400.- / 50ml. 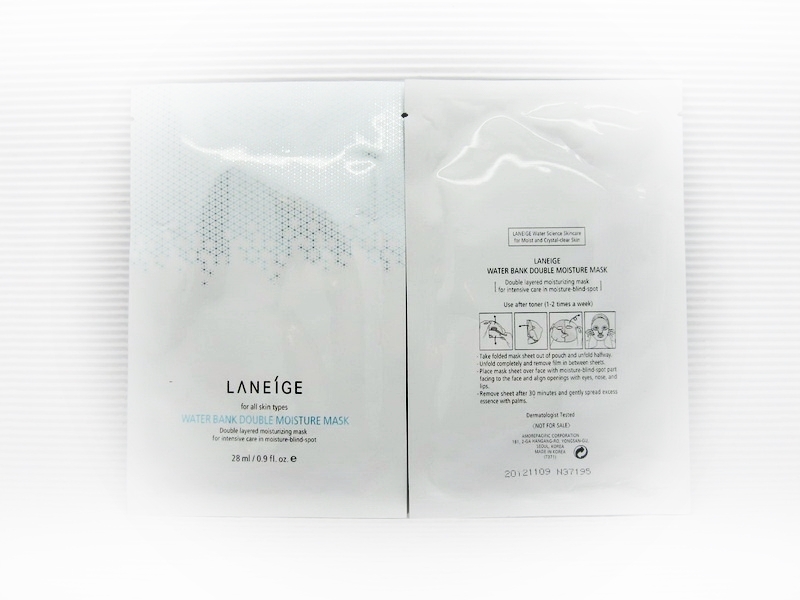 583.-) ขนาด 50ml. 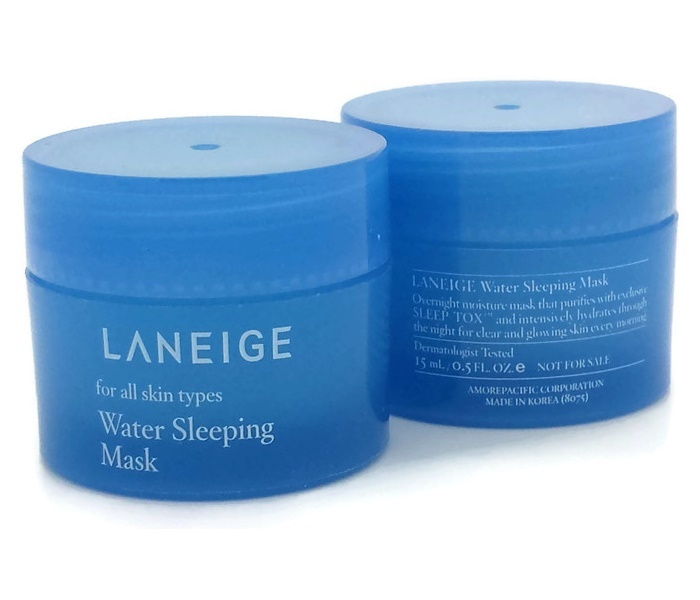 Trick : ออกไปสวยซ่าท้าแดดแล้ว ถ้าไม่อยากผิวเสียหน้าไหม้ ลองเอา Water Sleeping Mask ที่แช่ไว้ในตู้เย็นมาทาหลังออกแดด รับรองได้เลยค่ะว่า ผิวจะรู้สึกเย็นสบายและไม่มีอาการแสบอย่างแน่นอน!! 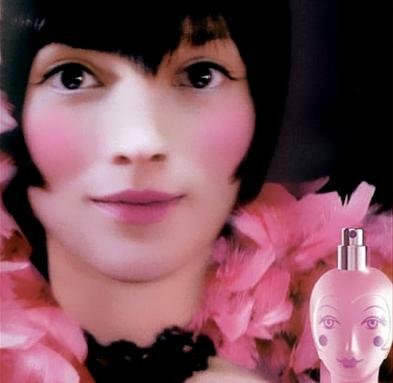 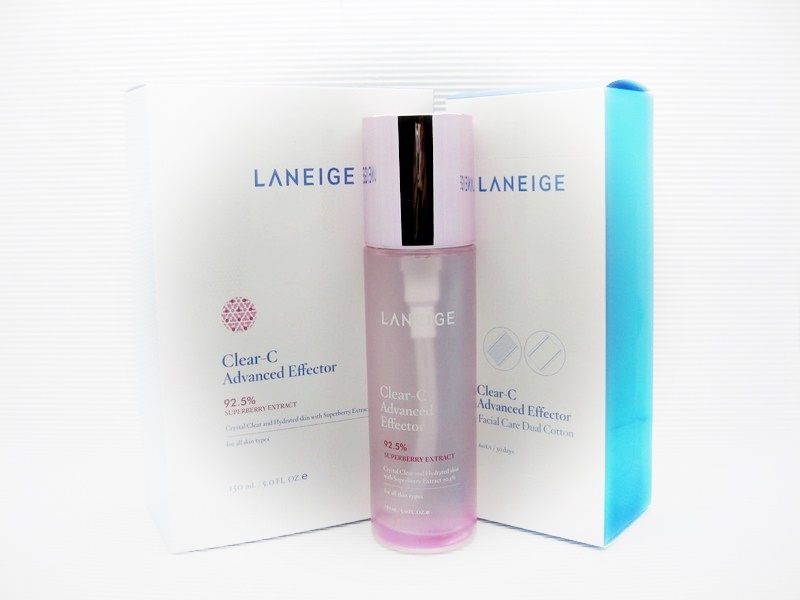 After cleansing in the evening, apply toner and emulsion. 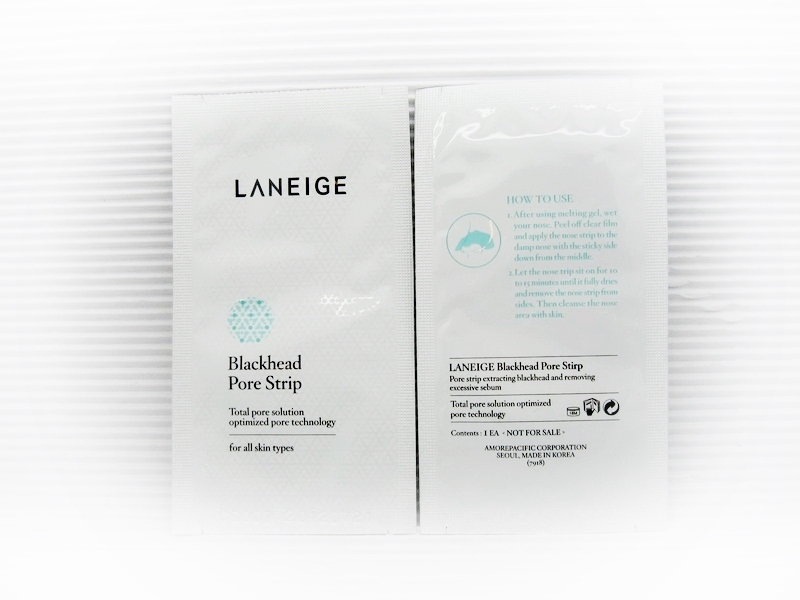 Apply an appropriate amount of sleeping pack and gently spread from the chin to the center of the face towards its contours. 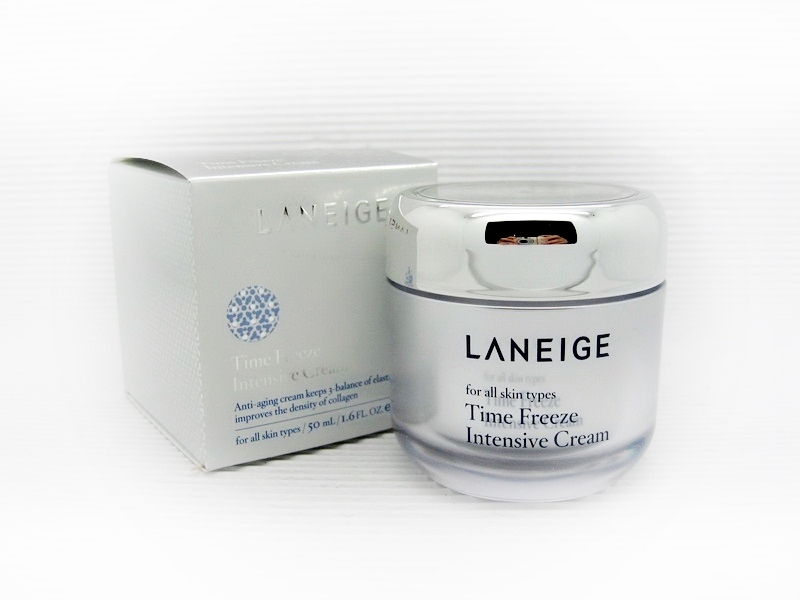 Let it stay in the skin during the night and wash it off in the morning. 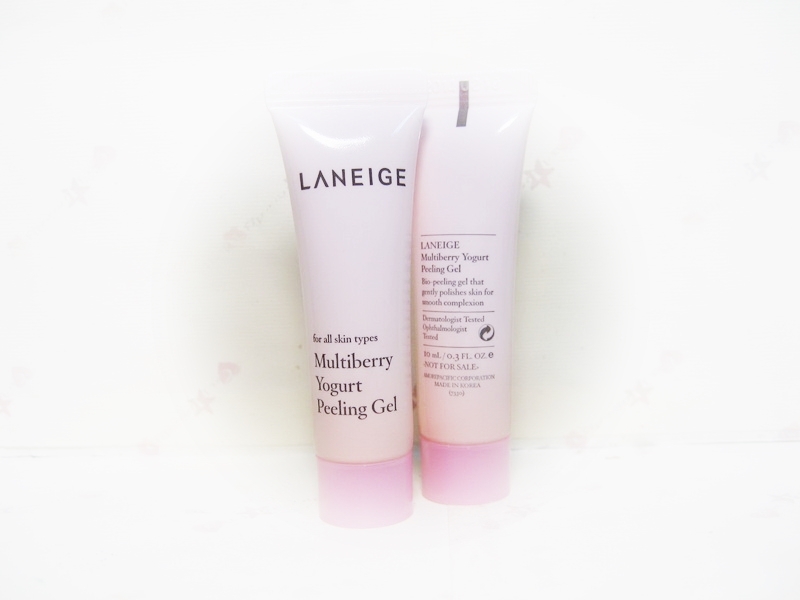 ❥ LANEIGE Multiberry Yogurt Peeling Gel ขนาด 10ml. 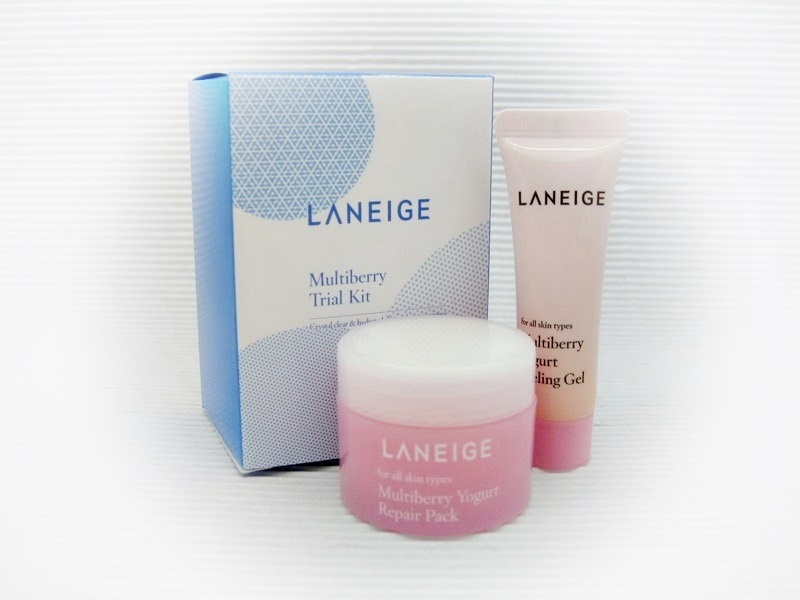 ❥ LANEIGE Multiberry Yogurt Repair Pack (80ml. 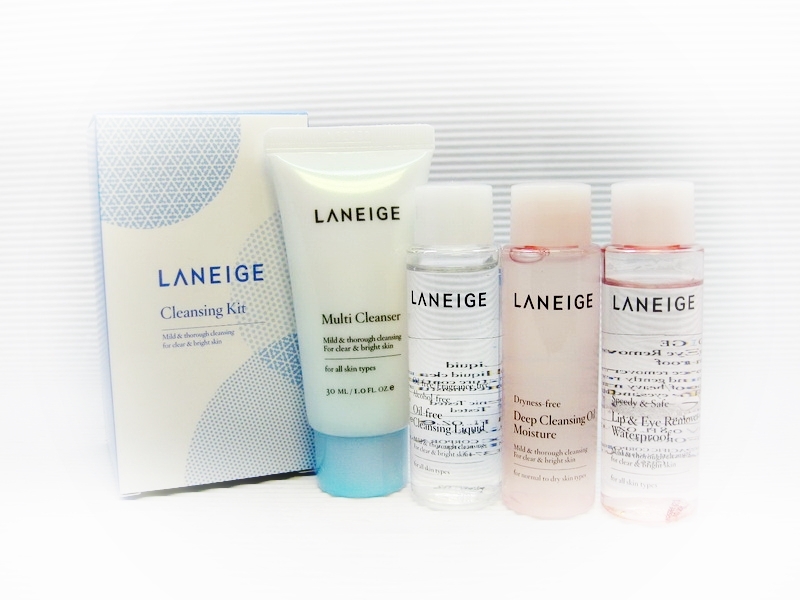 1150.- / 20ml. 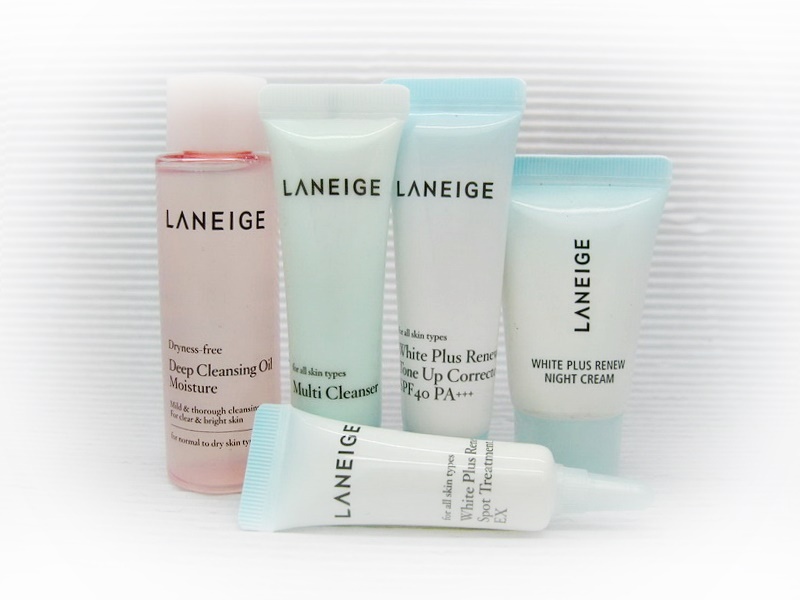 290.-) ขนาด 20ml. 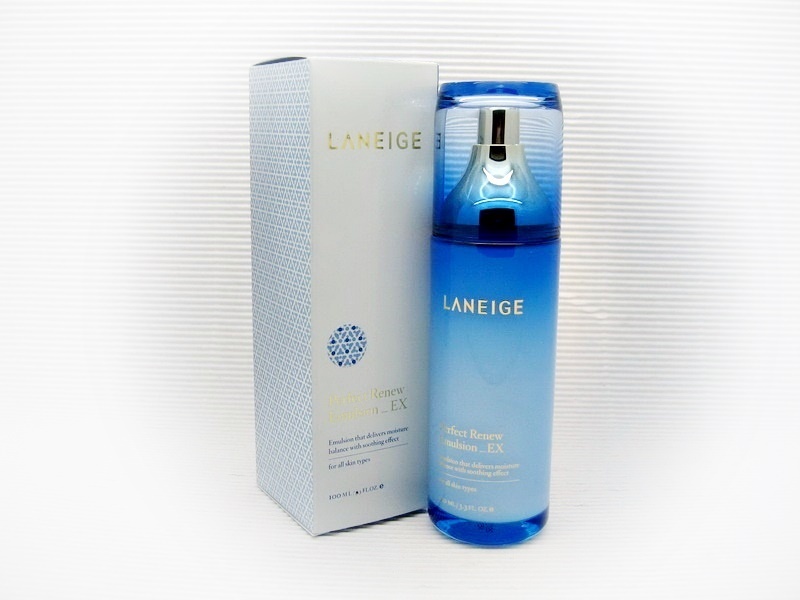 ❥ LANEIGE White Plus Renew Skin Refiner (120ml. 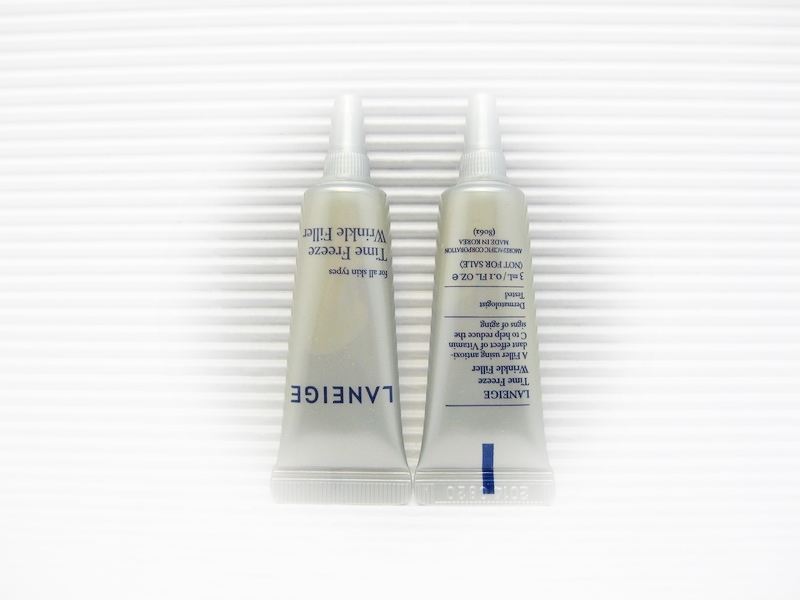 1200.- / 50ml. 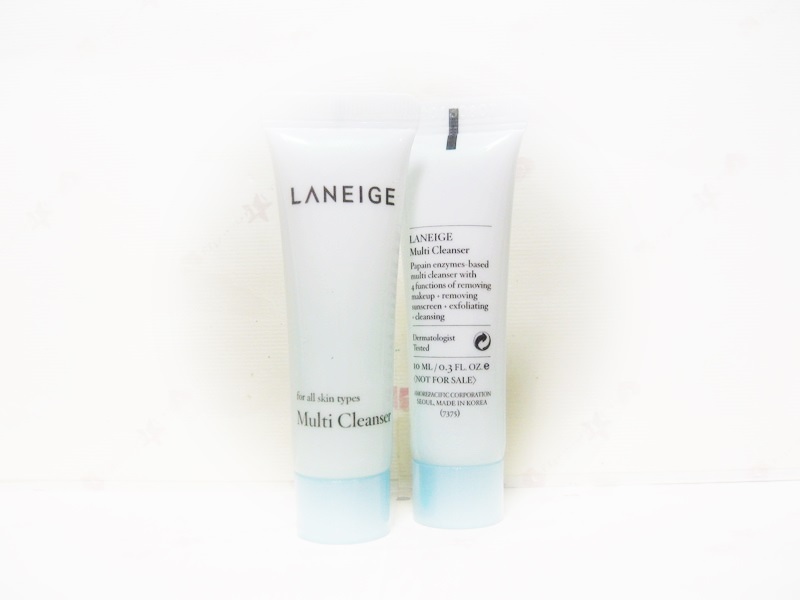 500.-) ขนาด 50ml. 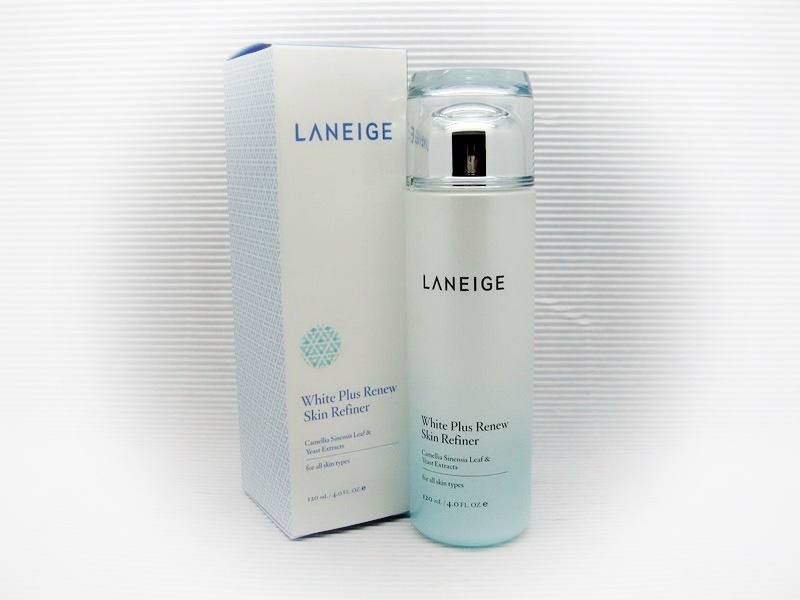 ❥ LANEIGE White Plus Renew Emulsion SPF 15 (100ml. 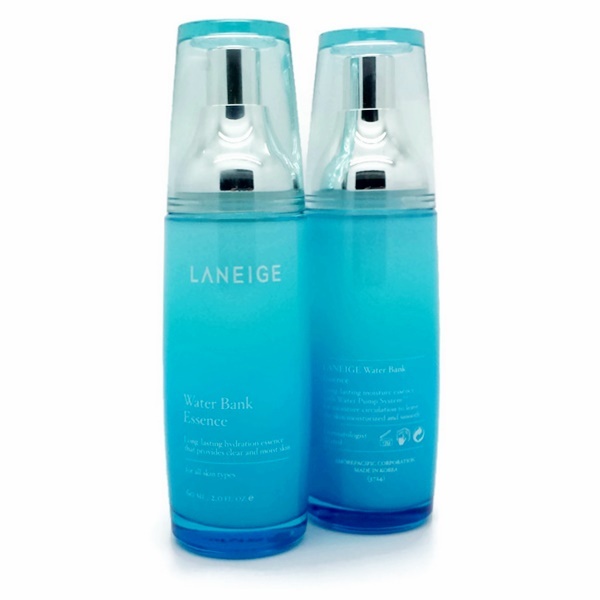 1300.- / 50ml. 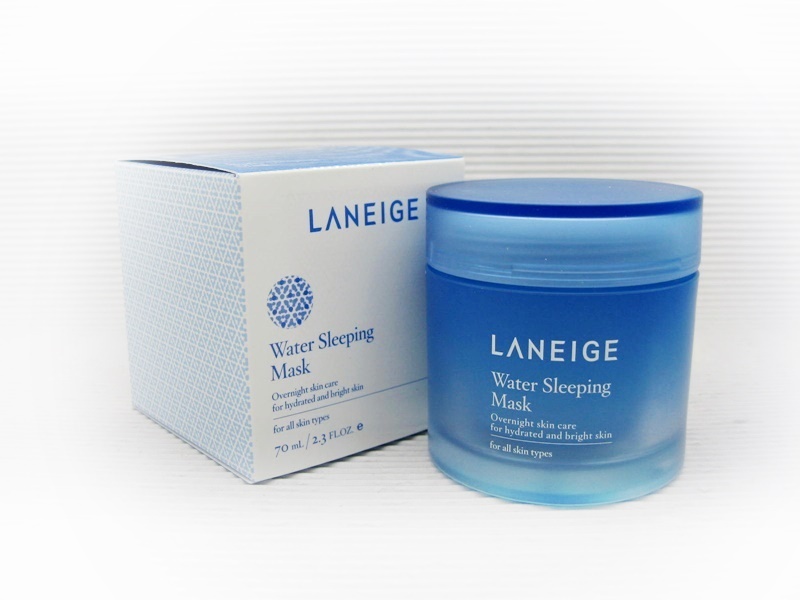 650.-) ขนาด 50ml. 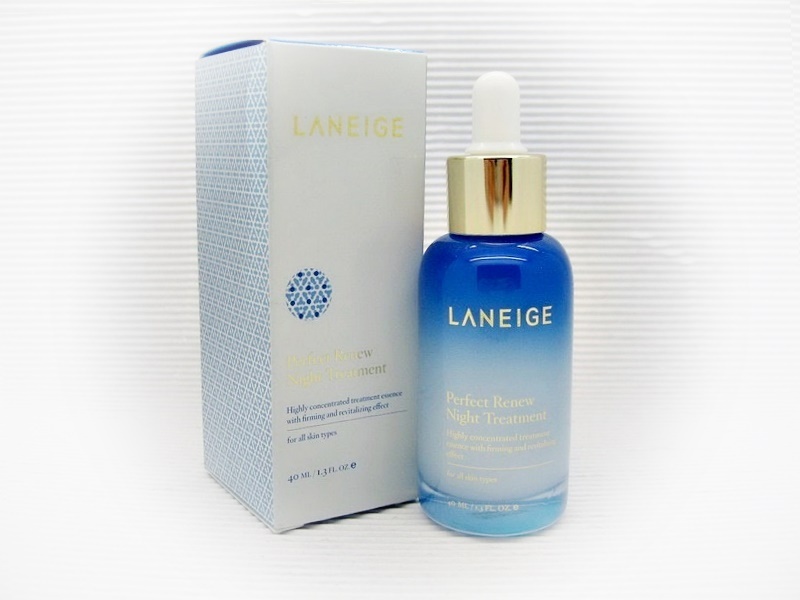 ❥ LANEIGE Perfect Renew Skin Refiner EX (120ml. 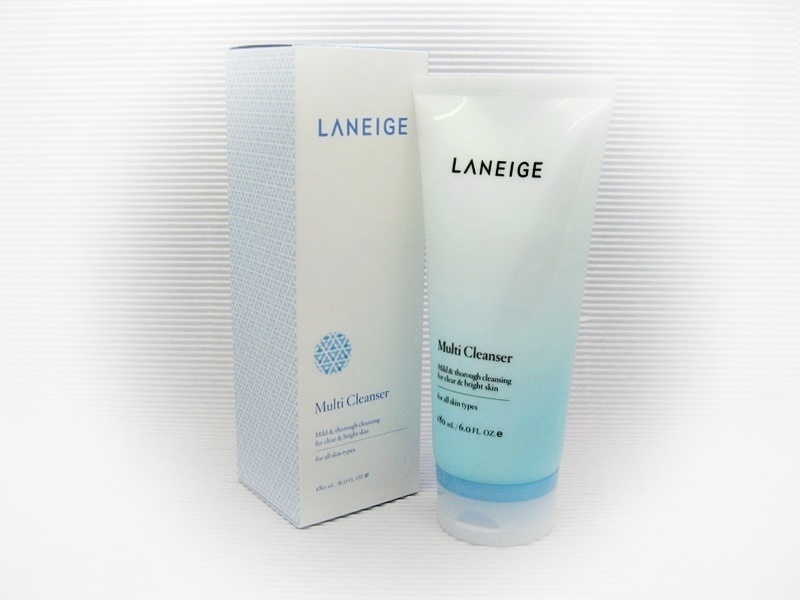 1200.- / 50ml. 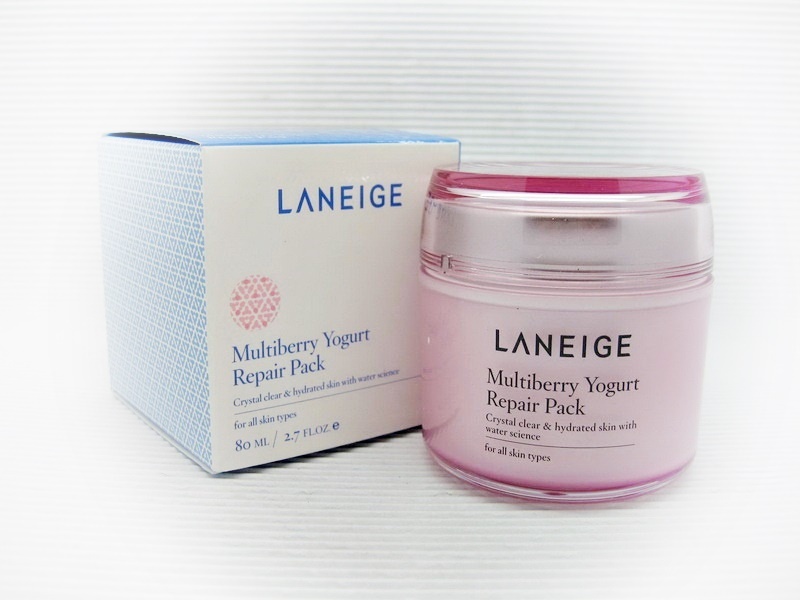 500.-) ขนาด 50ml. 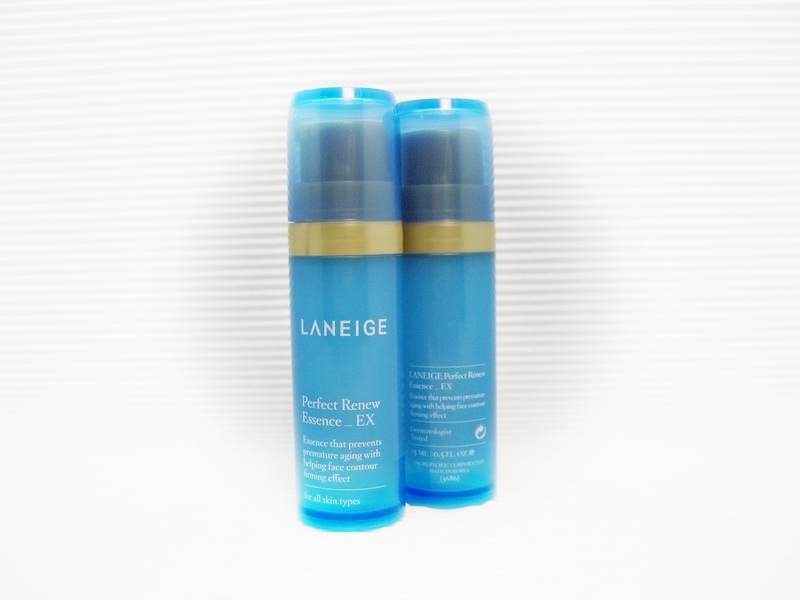 ❥ LANEIGE Perfect Renew Emulsion EX (100ml. 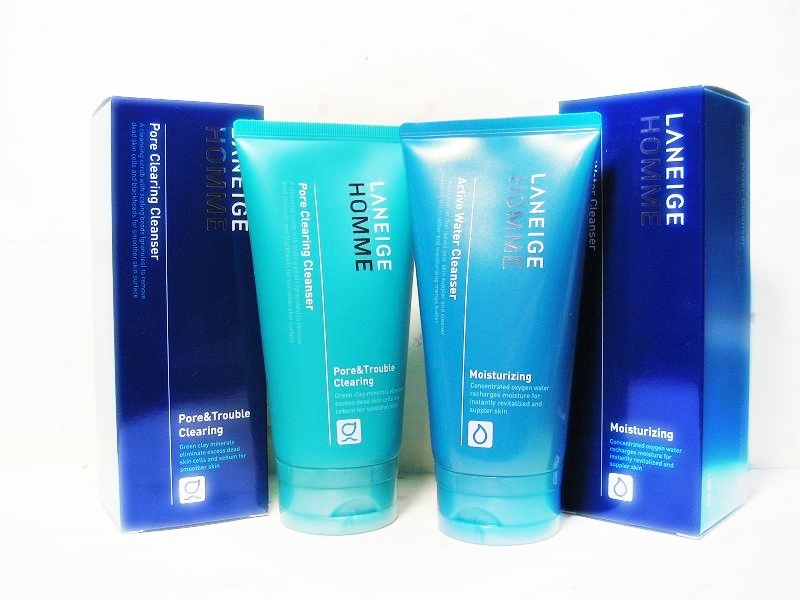 1450.- / 50ml. 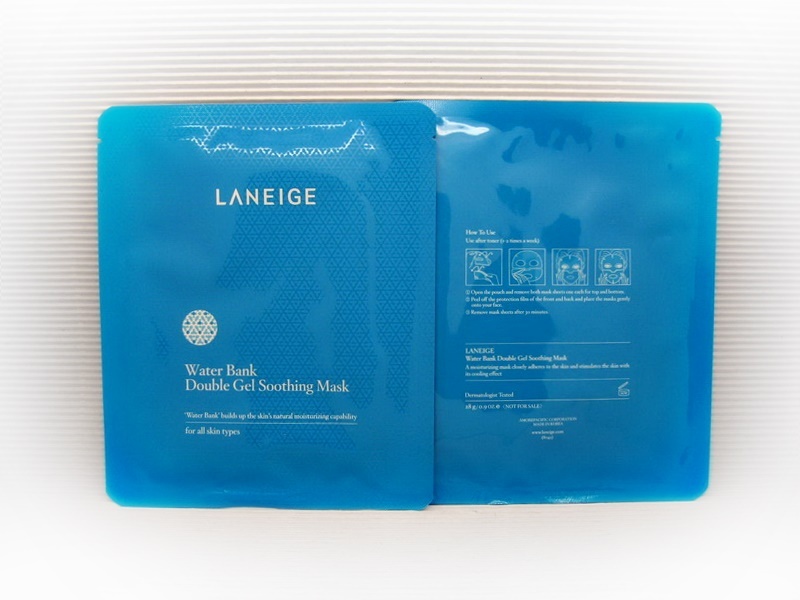 725.-) ขนาด 50ml. 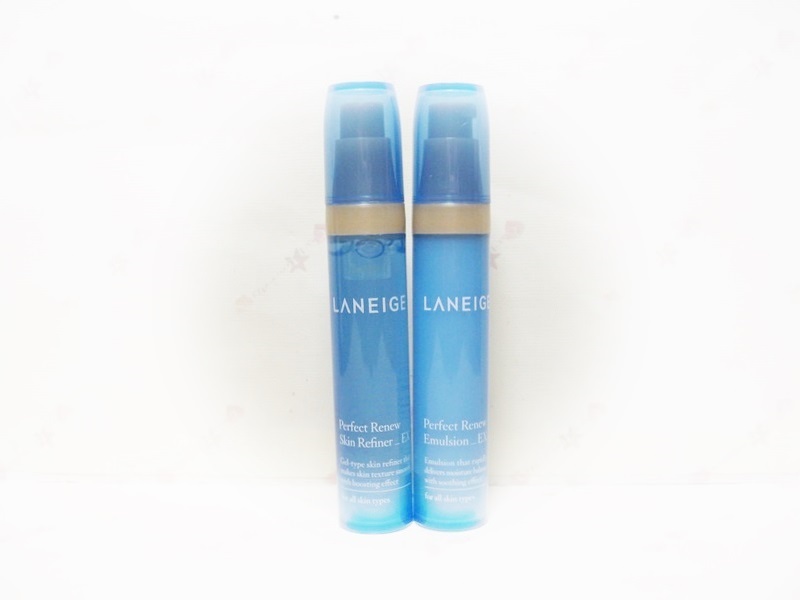 ❥ LANEIGE Perfect Renew Skin Refiner หัวปั๊ม ขนาด 10ml. 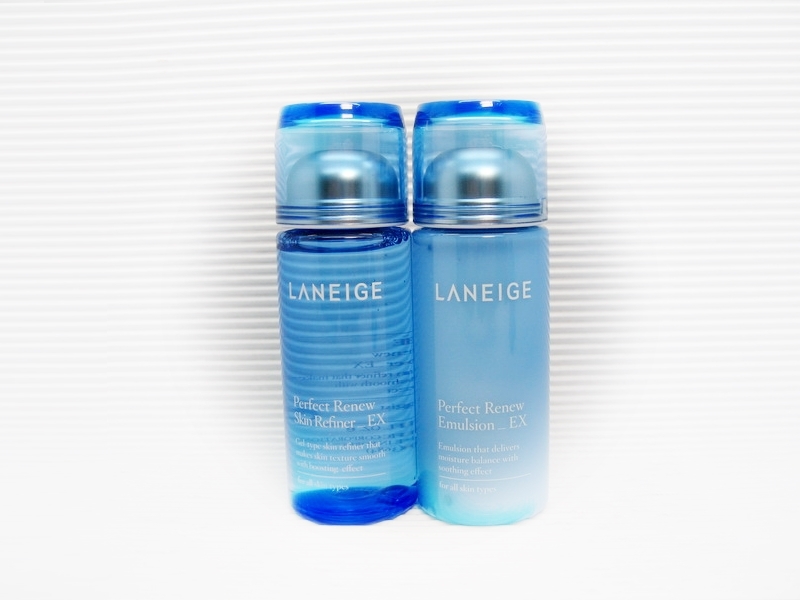 ❥ LANEIGE Perfect Renew Emulsion หัวปั๊ม ขนาด 10ml. 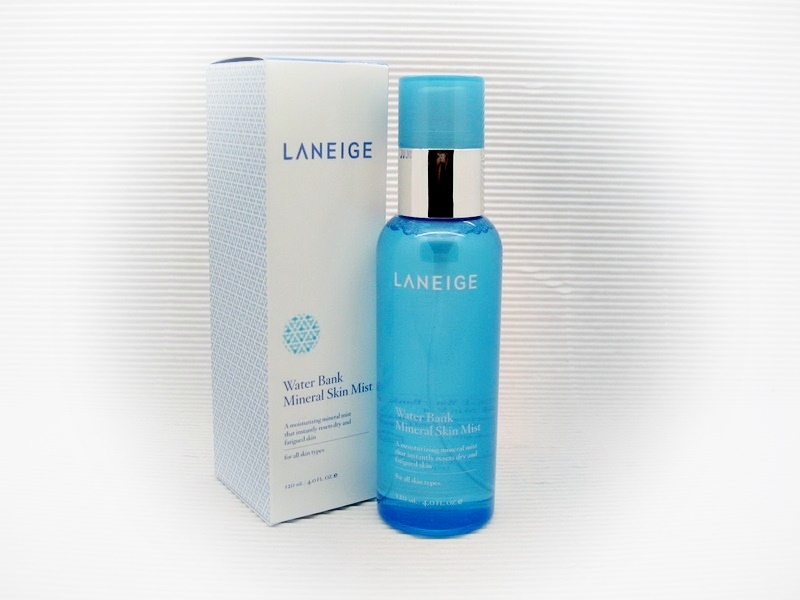 ◁ LANEIGE White Plus Renew Skin Refiner ขนาด 15ml. 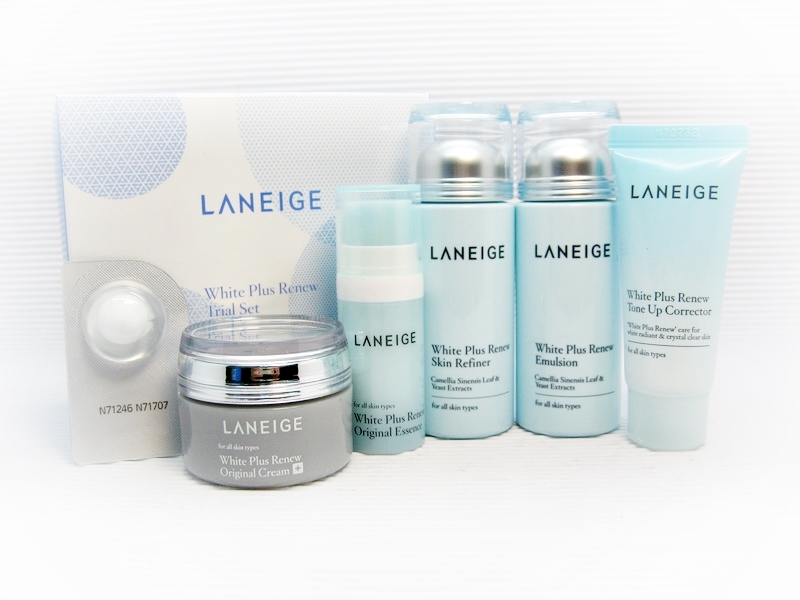 ◁ LANEIGE White Plus Renew Emulsion ขนาด 15ml. 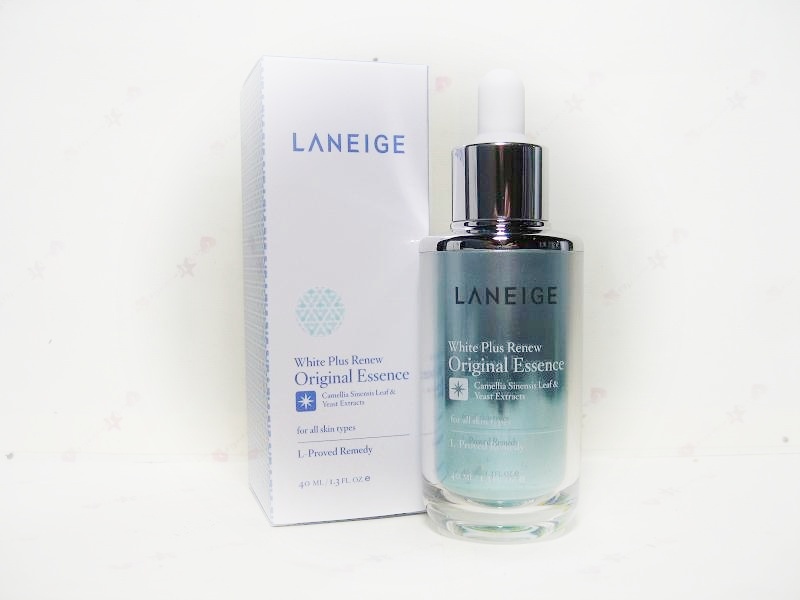 ◁ LANEIGE White Plus Renew Original Essence EX ขนาด 7ml. 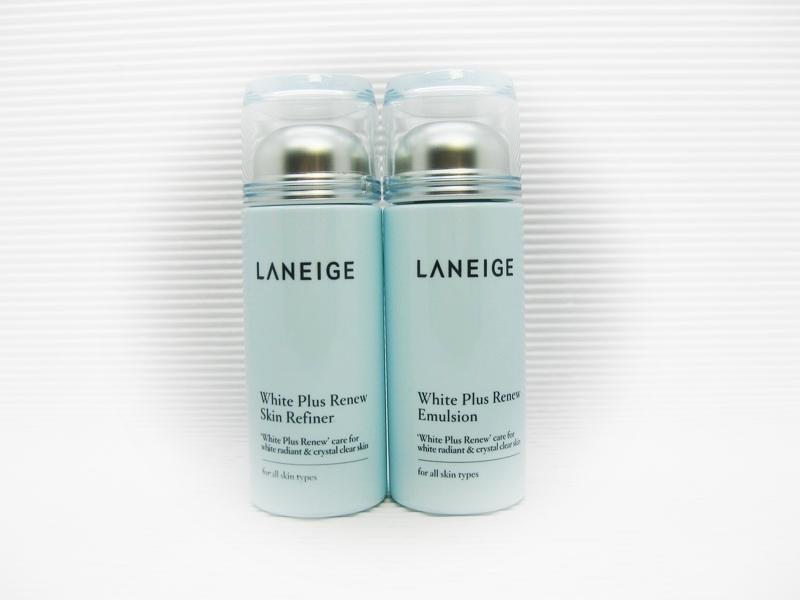 ◁ LANEIGE White Plus Renew Original Cream 10ml. 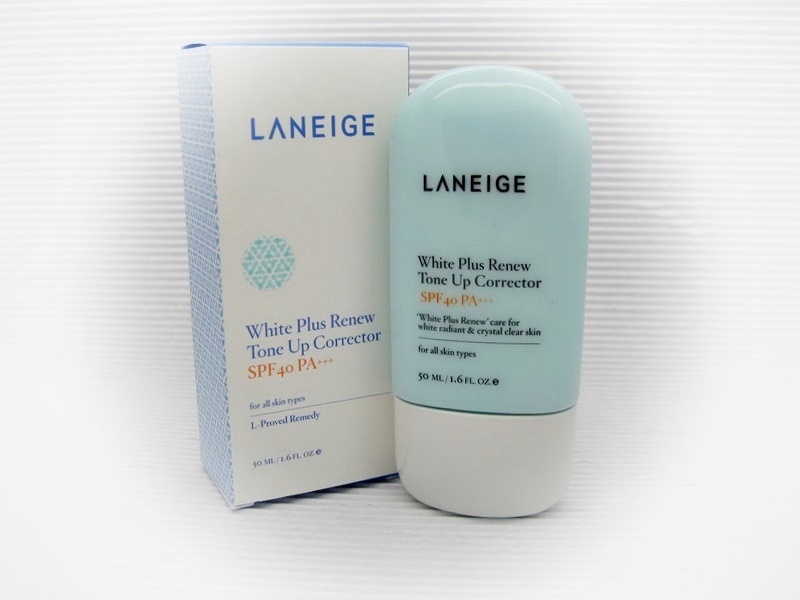 ◁ LANEIGE White Plus Renew Tone-Up Corrector SPF 40 PA+++ ขนาด 10ml. 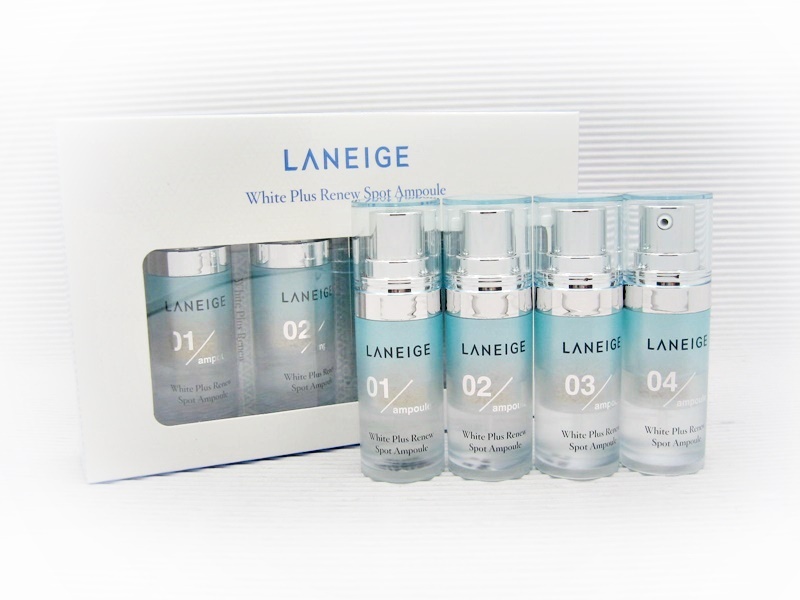 ◁ LANEIGE White Plus Renew Essence ขนาด 10ml. 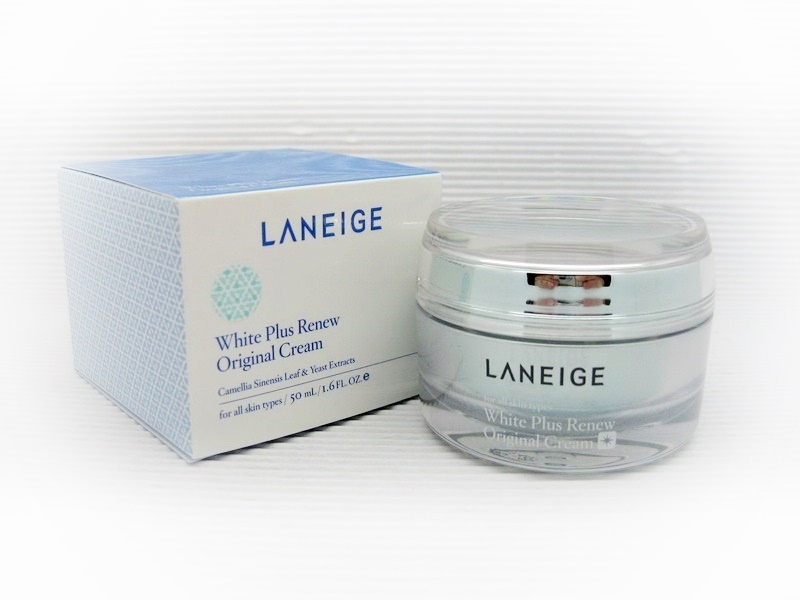 ◁ LANEIGE White Plus Renew Eye Cream ขนาด 3ml. 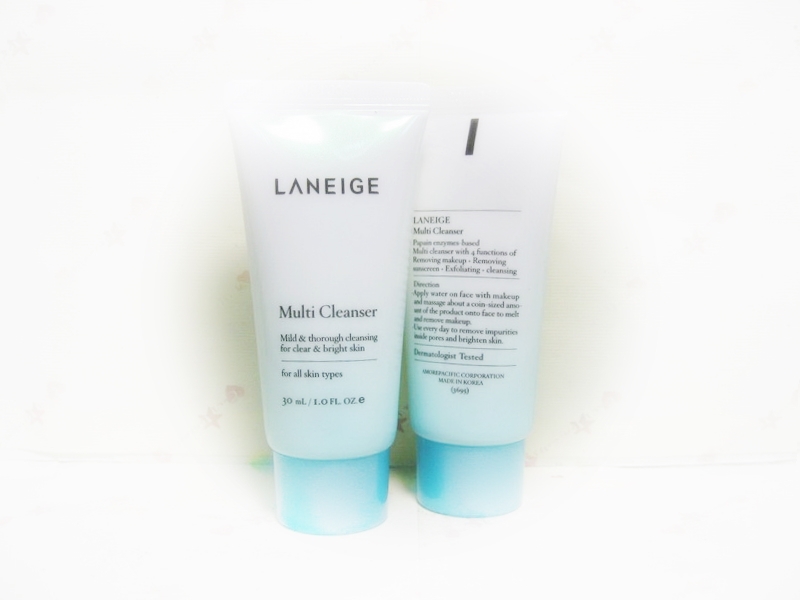 ❥ LANEIGE Multi Cleanser ขนาด 30ml. 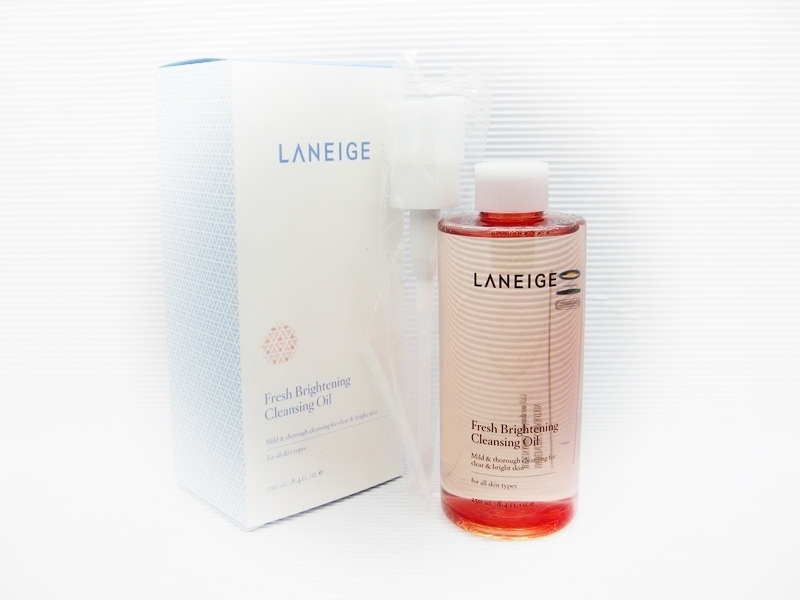 ❥ LANEIGE Oil-Free Cleansing Liquid ขนาด 25ml. 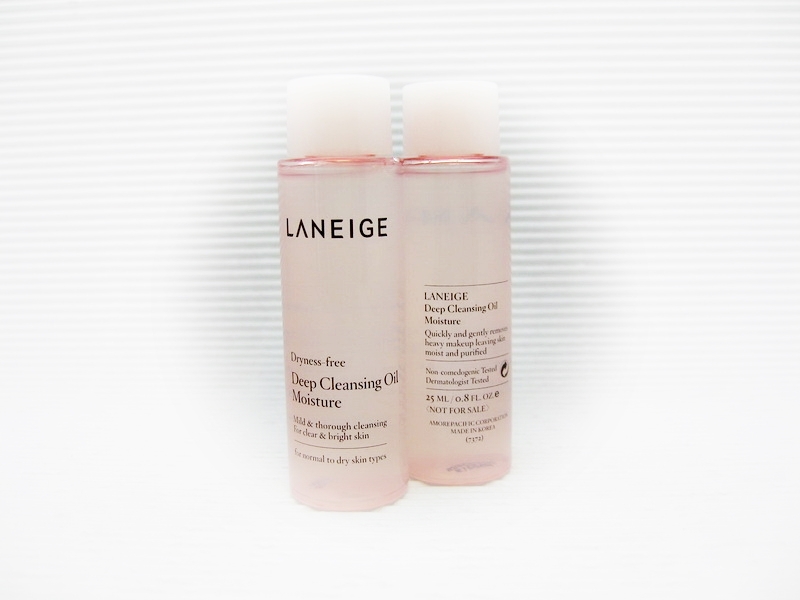 ❥ LANEIGE Deep Cleansing Oil Moisture ขนาด 25ml. 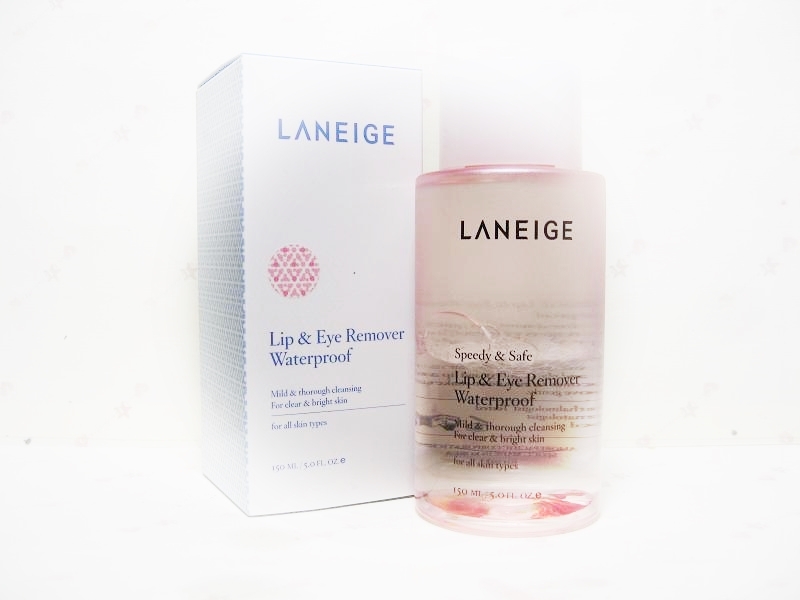 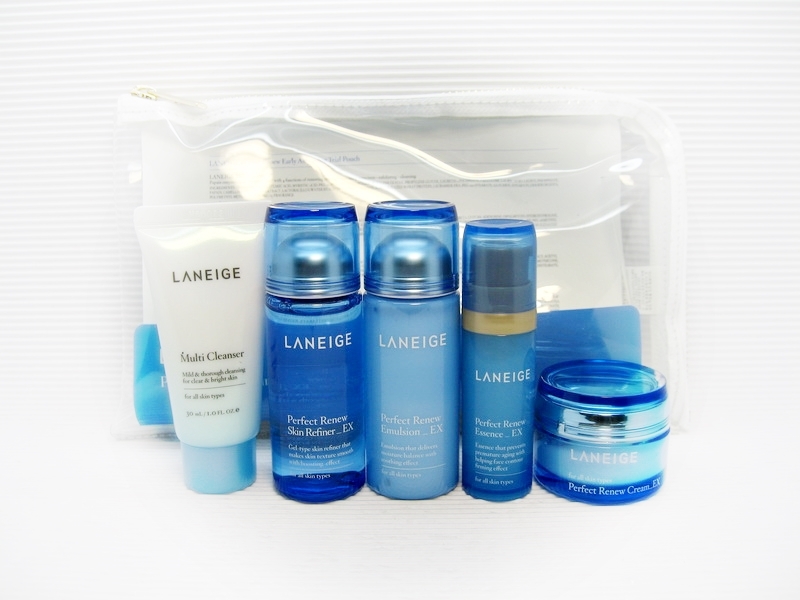 ❥ LANEIGE Lip & Eye Remover Waterproof ขนาด 25ml. 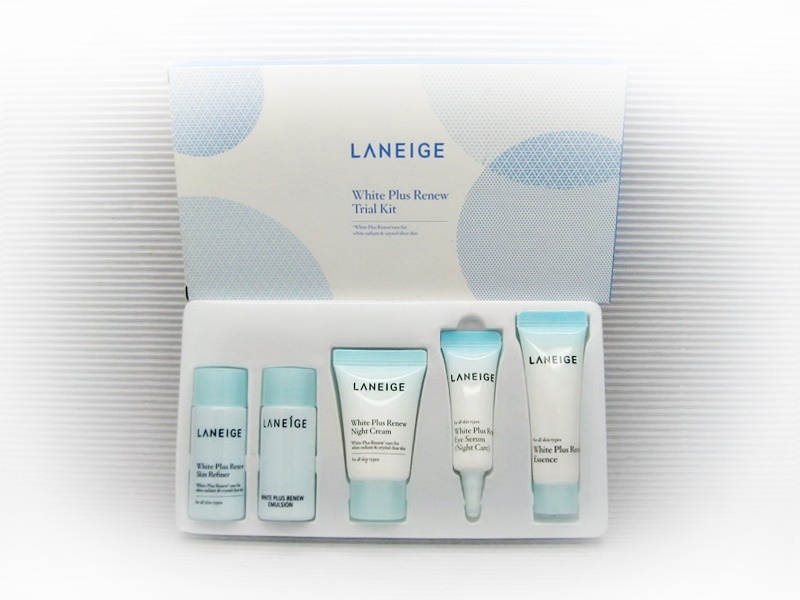 ❥ LANEIGE Perfect Renew Skin Refiner EX หัวปั๊ม ขนาด 10ml. 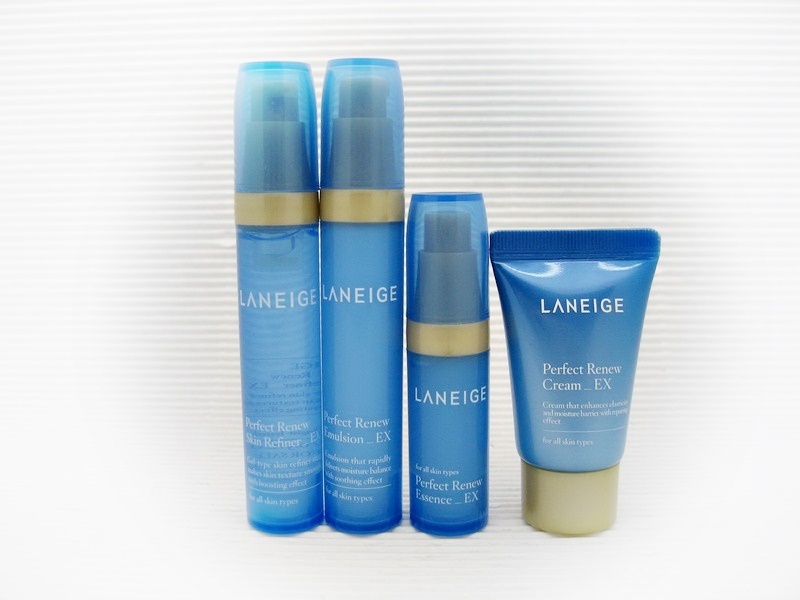 ❥ LANEIGE Perfect Renew Emulsion EX หัวปั๊ม ขนาด 10ml. 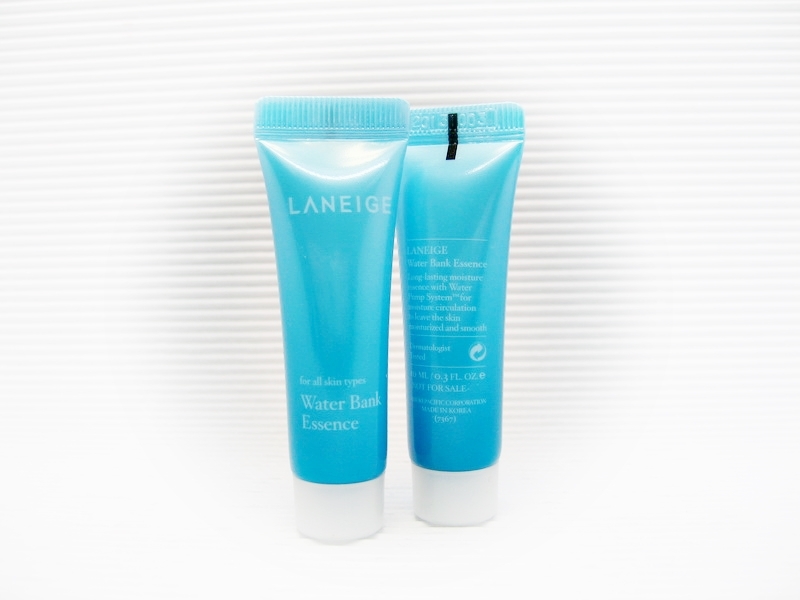 ❥ LANEIGE Water Bank Essence EX หัวปั๊ม ขนาด 10ml. 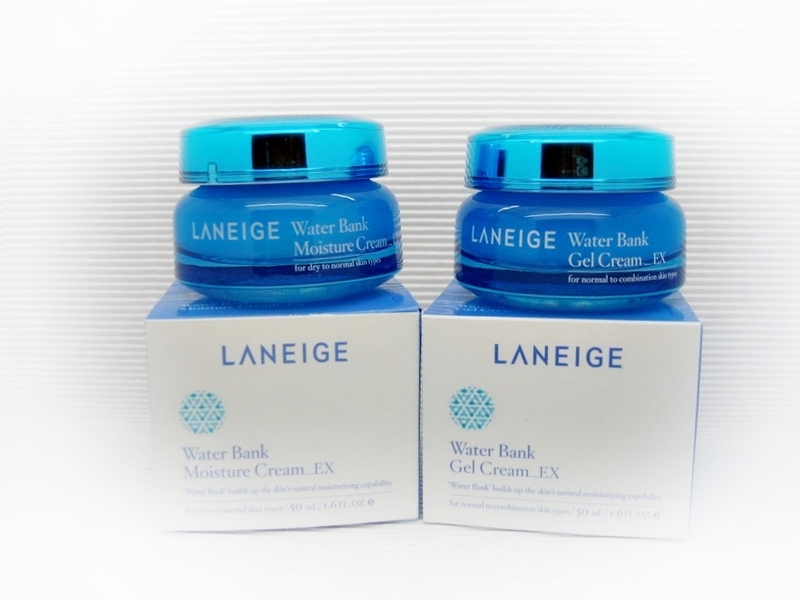 ❥ LANEIGE Water Bank Moisture "Gel Cream" EX หลอดขนาด 10ml. 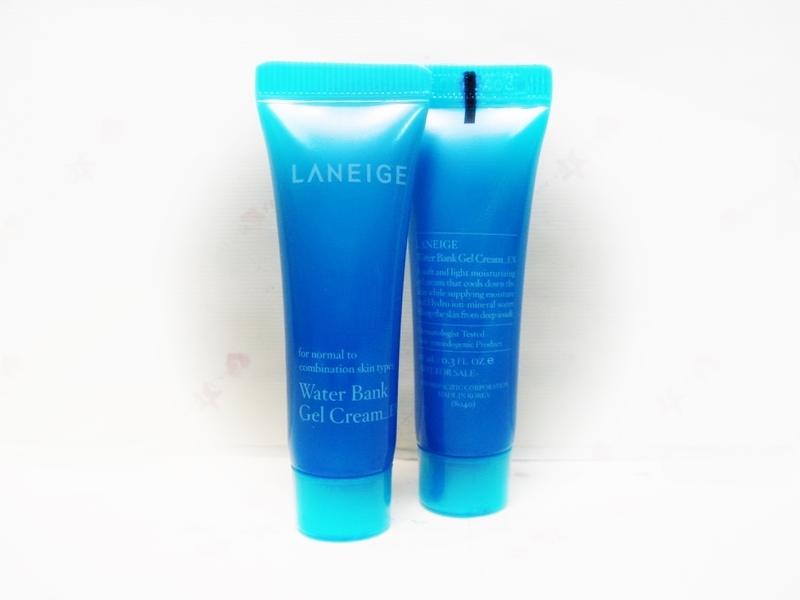 ❥ LANEIGE Water Bank Moisture "Gel Cream" EX ขนาด 10ml. 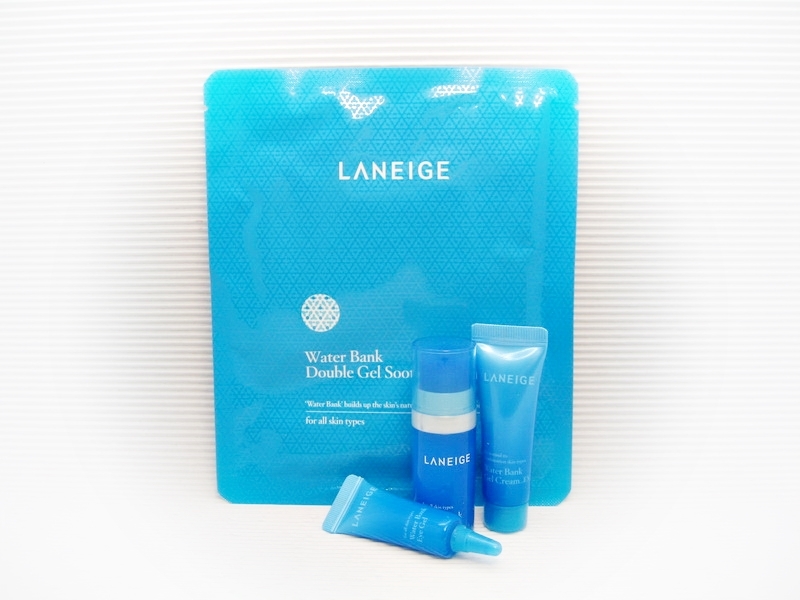 ❥ LANEIGE Water Bank Eye Gel ขนาด 5ml. 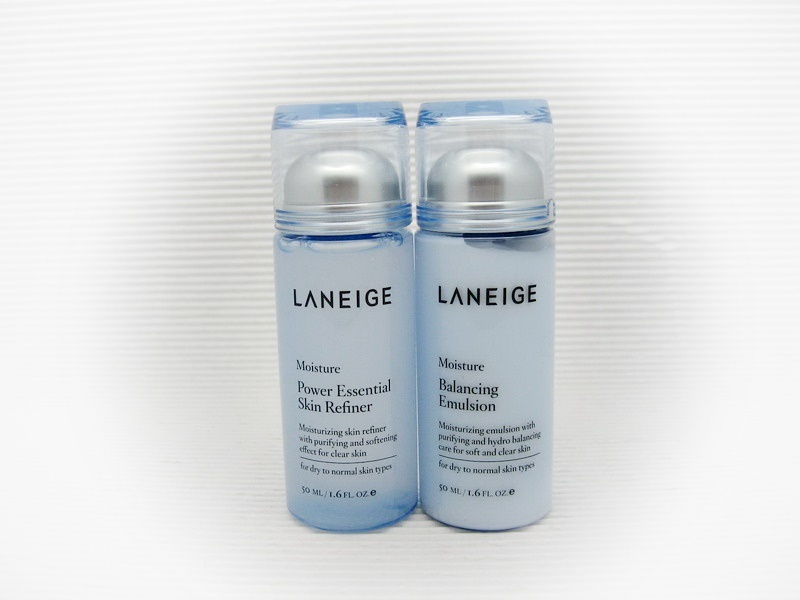 ❥ LANEIGE Power Essential Skin Refiner "Moisture"ขนาด 25ml. 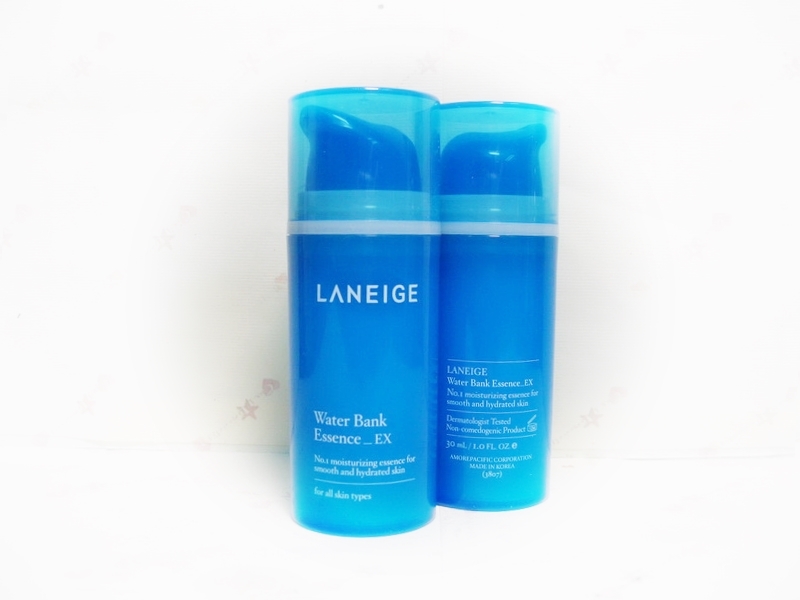 ❥ LANEIGE Balancing Emulsion "Moisture"ขนาด 25ml. 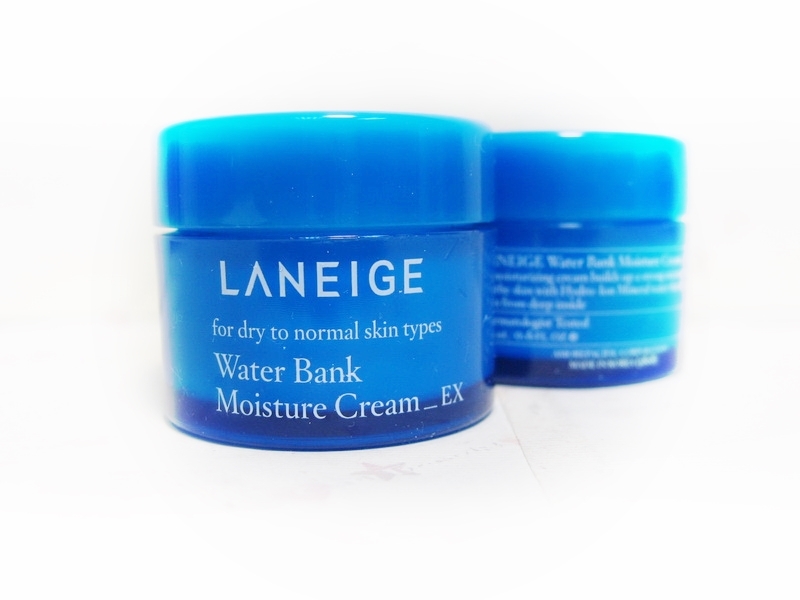 ❥ LANEIGE Water Bank Moisture "Cream" EX ขนาด 10ml. 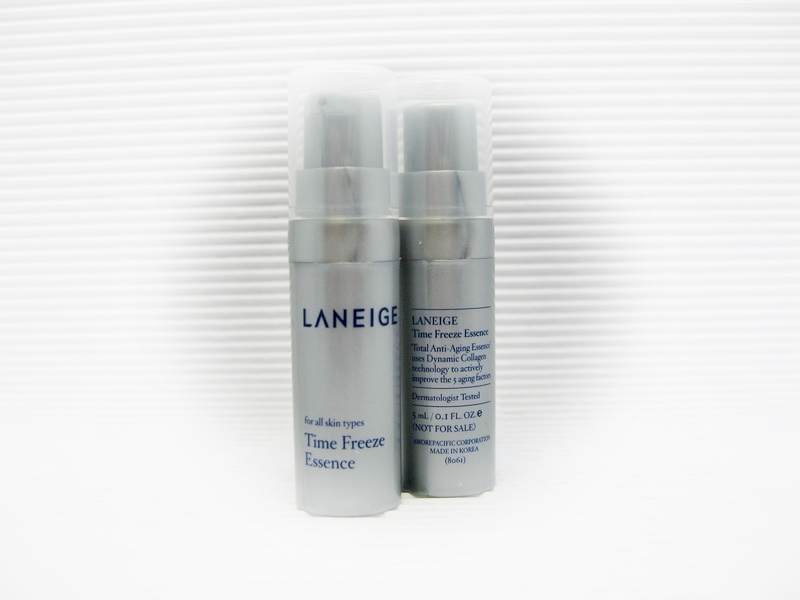 ❥ LANEIGE Power Essential Skin Refiner "MOISTURE" 25ml. 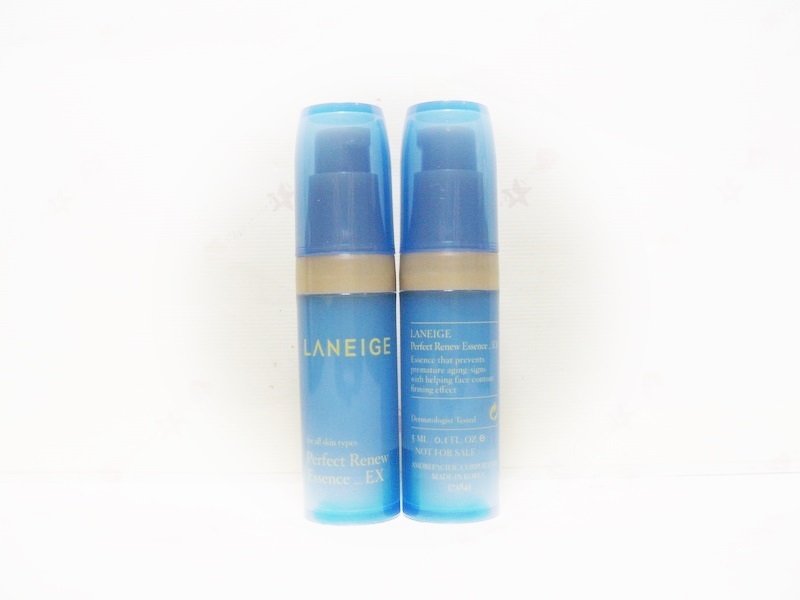 ❥ LANEIGE Balancing Emulsion "MOISTURE" 25ml. 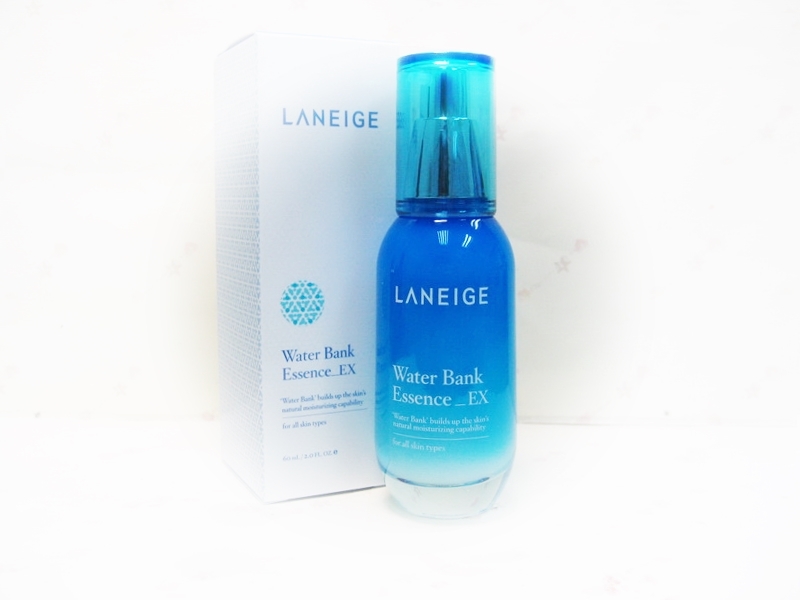 ❥ LANEIGE Water Bank Essence 10ml. 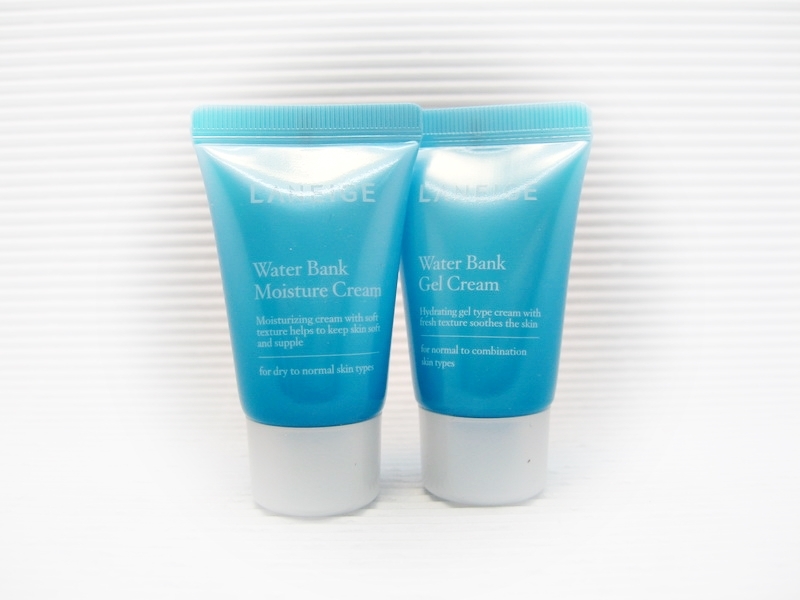 ❥ LANEIGE Water Bank "MOISTURE" Cream 10ml. 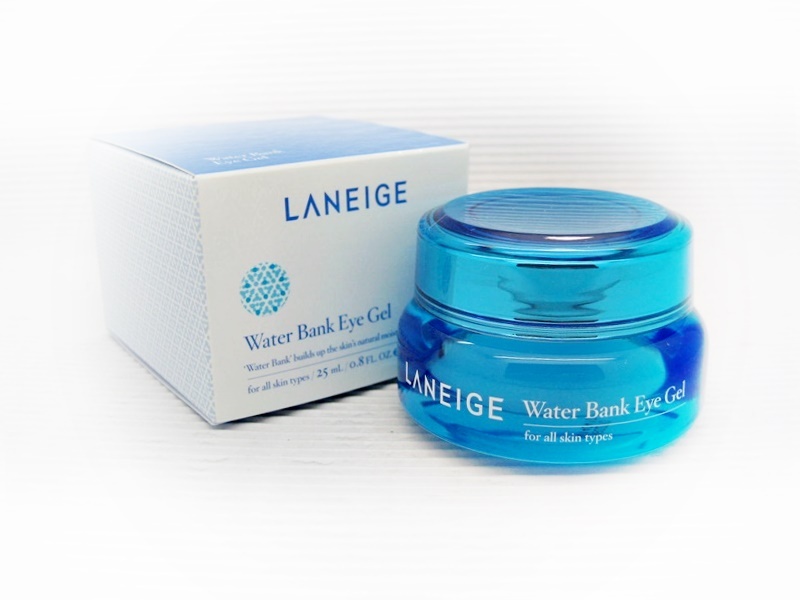 ❥ LANEIGE Water Bank Eye Gel 5ml. 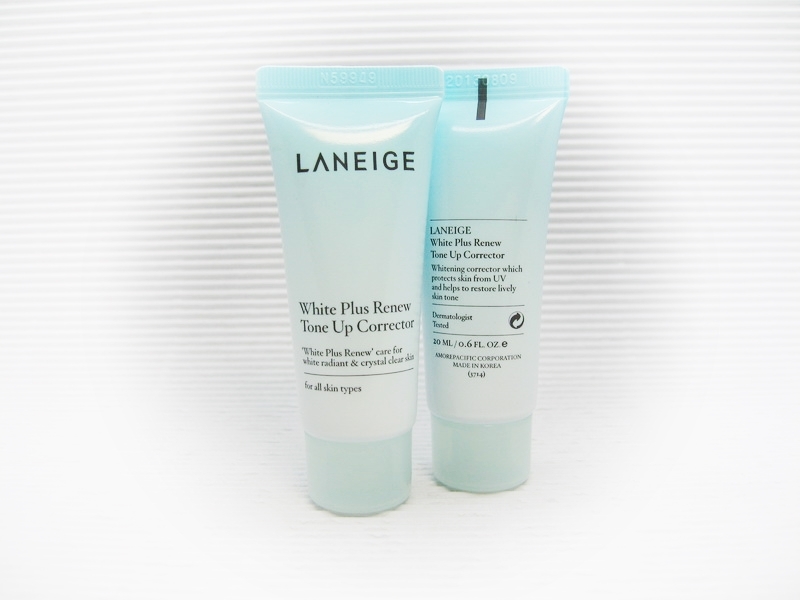 ❥ LANEIGE White Plus Renew Original Essence (40ml. 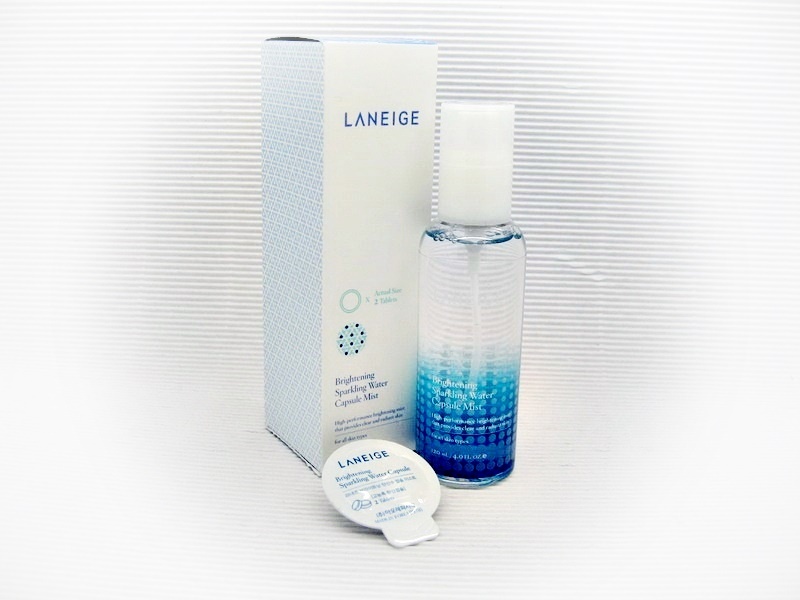 1850.- / 10ml. 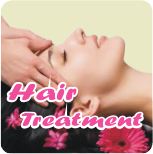 460.-) ขวดหัวปั๊ม ขนาด 10ml. 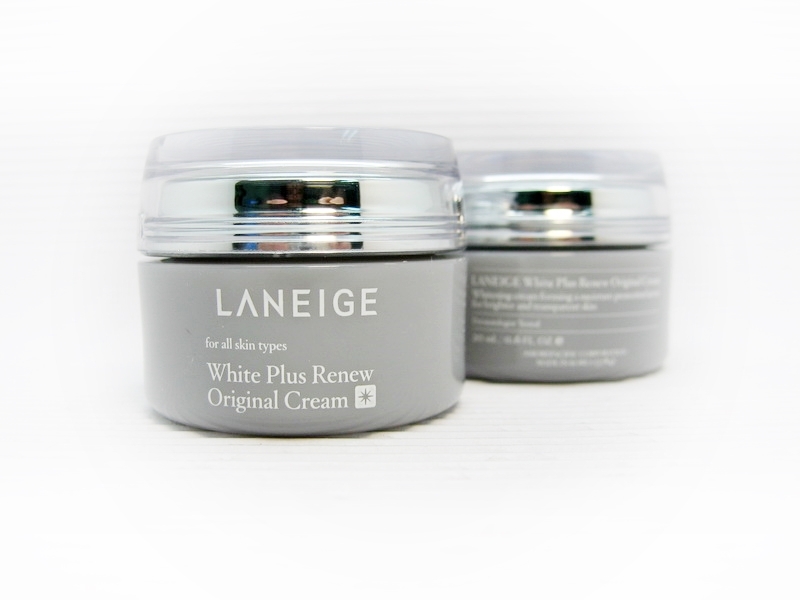 ❥ LANEIGE White Plus Renew Original Cream (50ml. 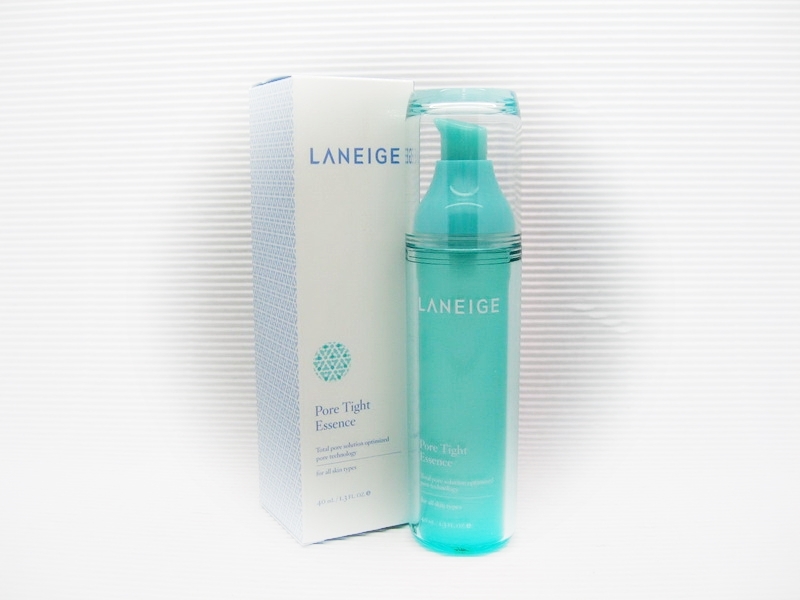 1750.- / 20ml. 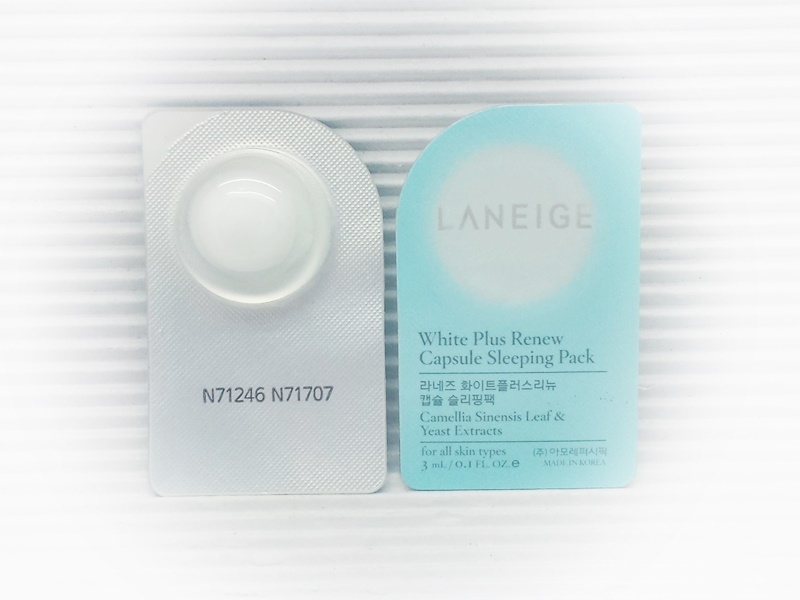 700.-) กระปุกขนาด 20ml. 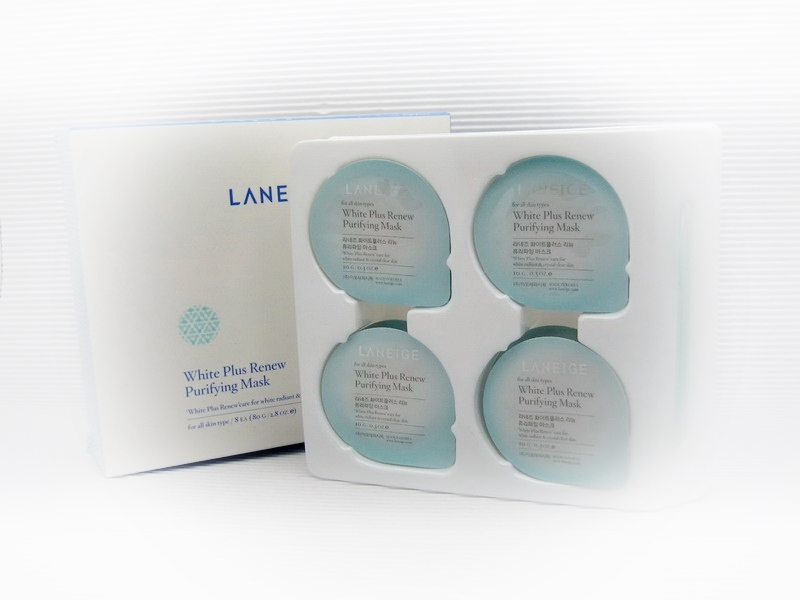 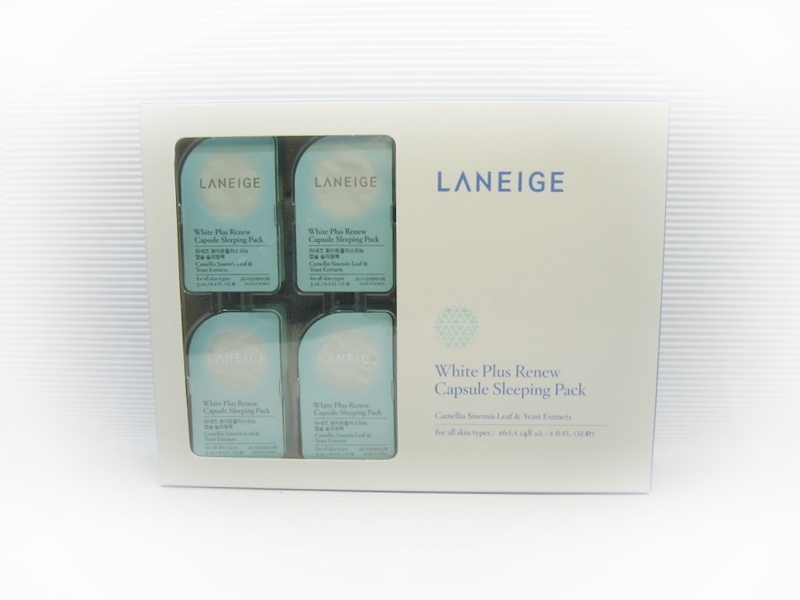 ❥ LANEIGE White Plus Renew Capsule White Plus Renew Capsule Sleeping Pack 1 pcs. 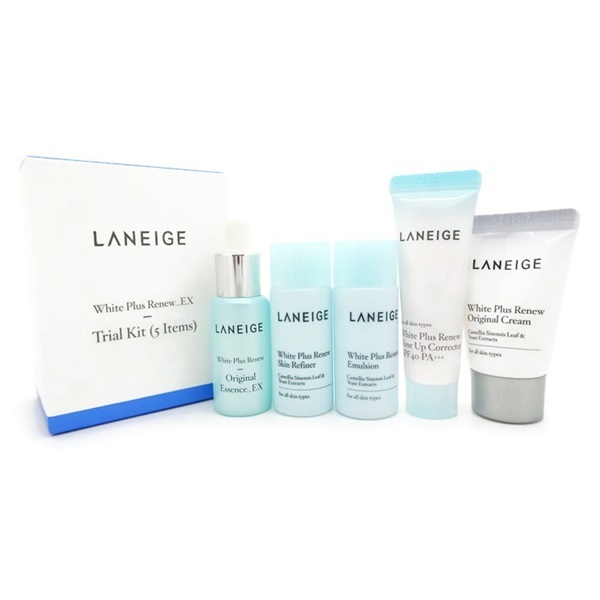 ❥ LANEIGE White Plus Renew Tone-Up Corrector SPF 40 PA+++ (50ml. 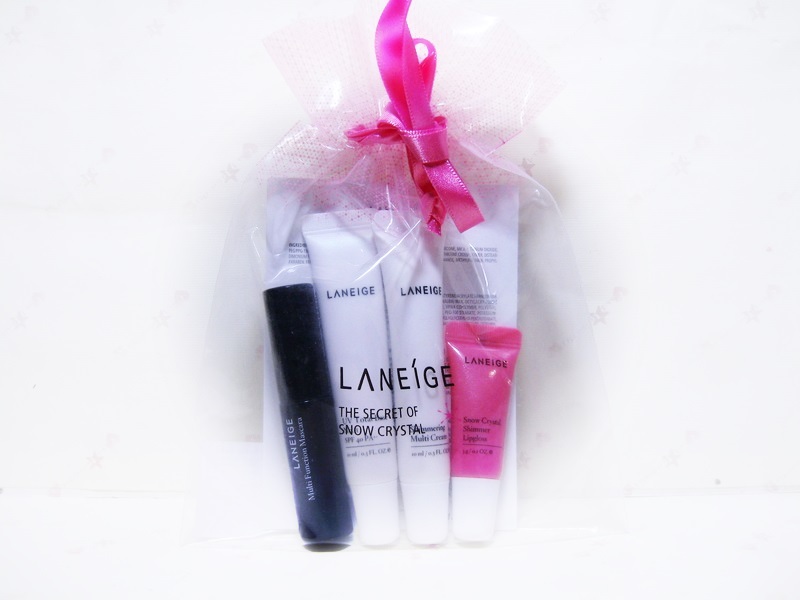 1200.- / 20ml. 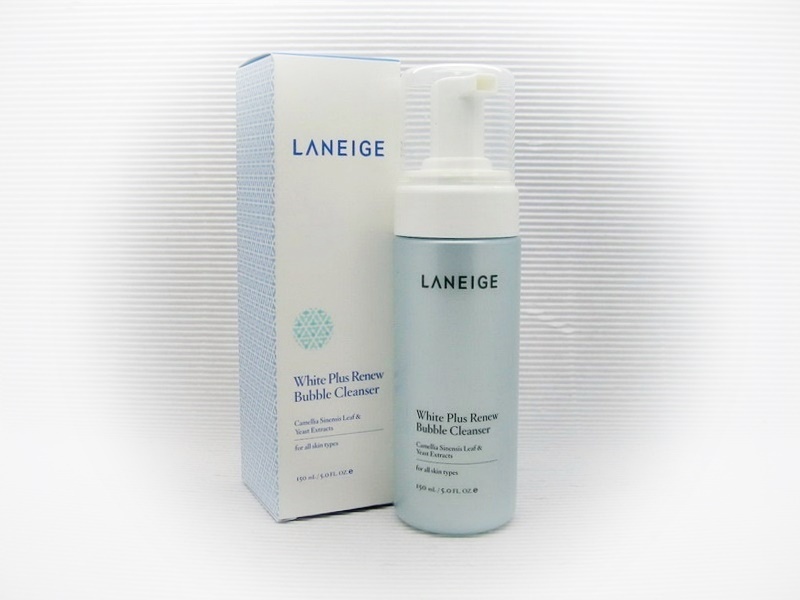 480.-) ขนาด 20ml. 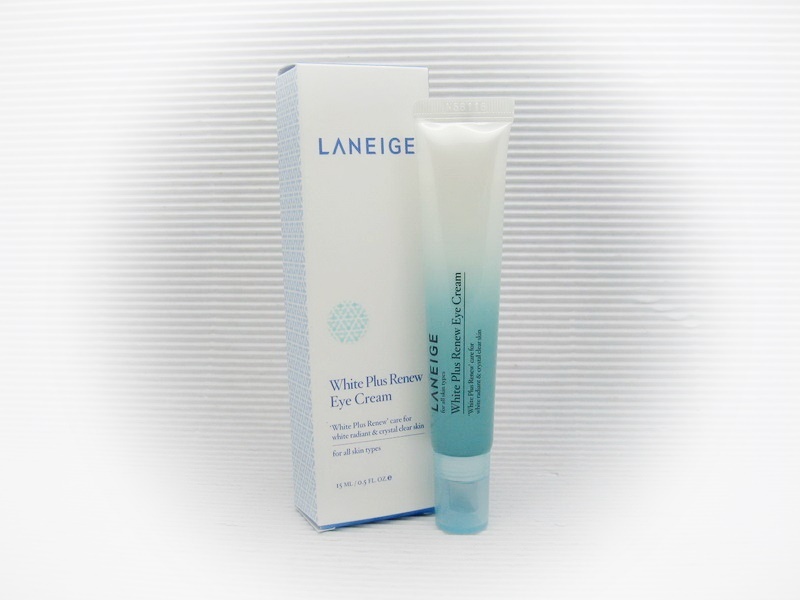 ❥ LANEIGE White Plus Renew Skin Refiner ขนาด 15ml. 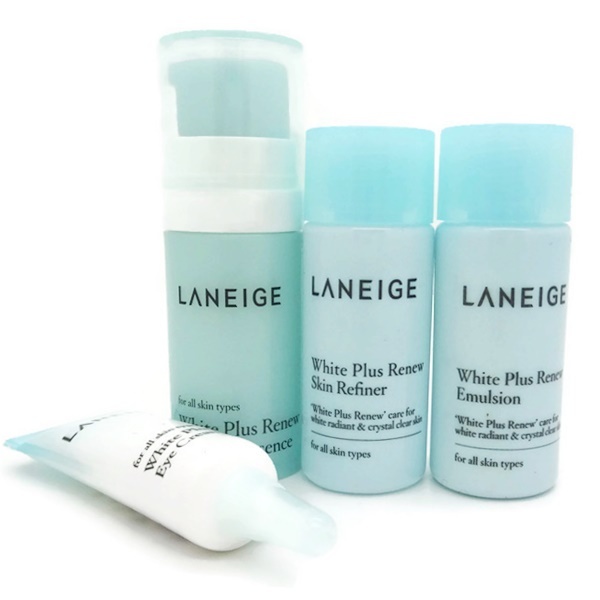 ❥ LANEIGE White Plus Renew Emulsion SPF 15 ขนาด 15ml. 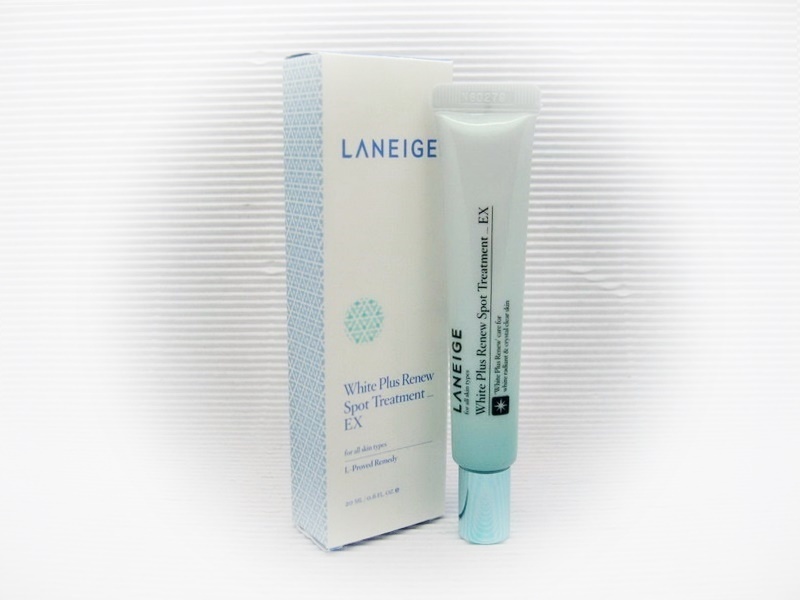 ❥ LANEIGE White Plus Renew Essence ขนาด 10ml. 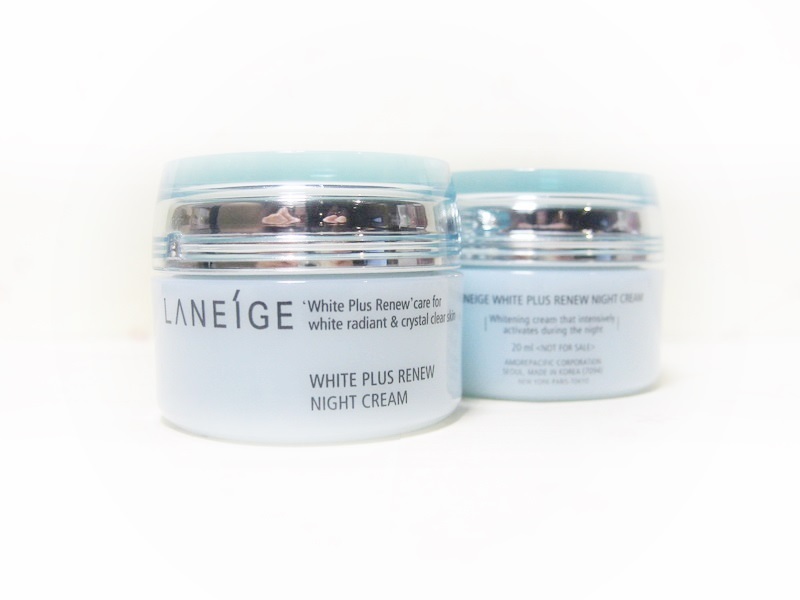 ❥ LANEIGE White Plus Renew Night Cream ขนาด 10ml. 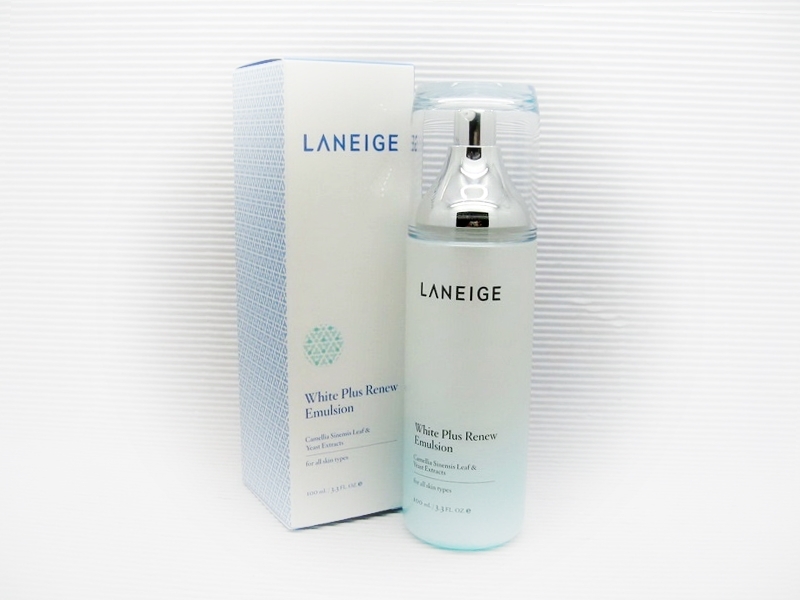 ❥ LANEIGE White Plus Renew Eye Serum ขนาด 3ml. 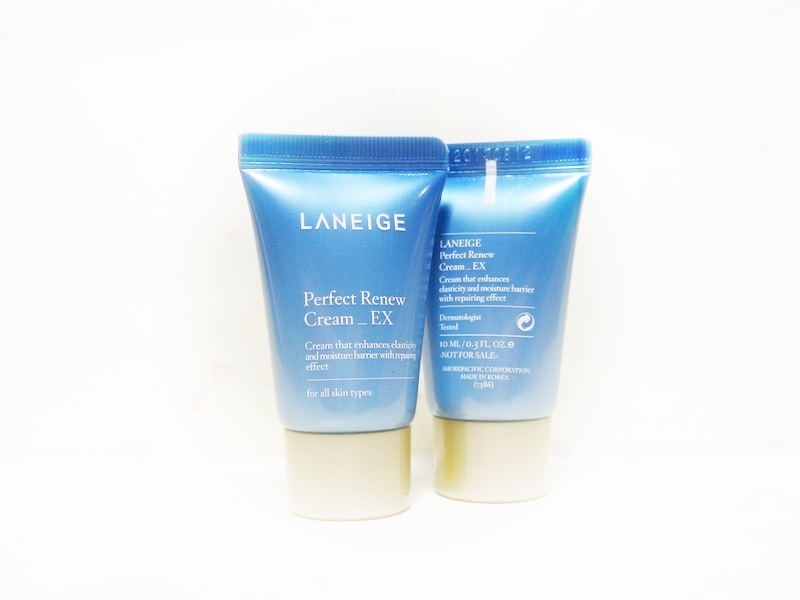 ❥ LANEIGE Perfect Renew Essence_Ex (40ml. 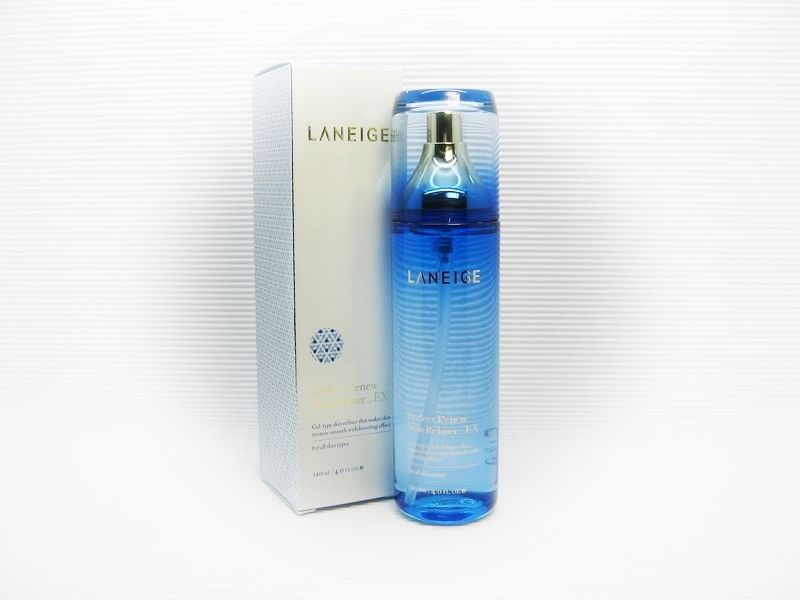 2450.- / 15ml. 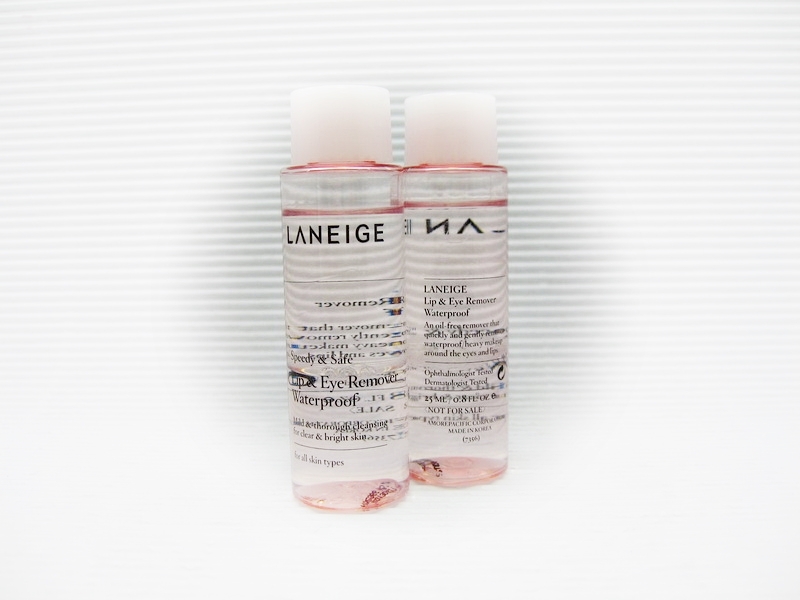 918.-) ขนาด 15ml. 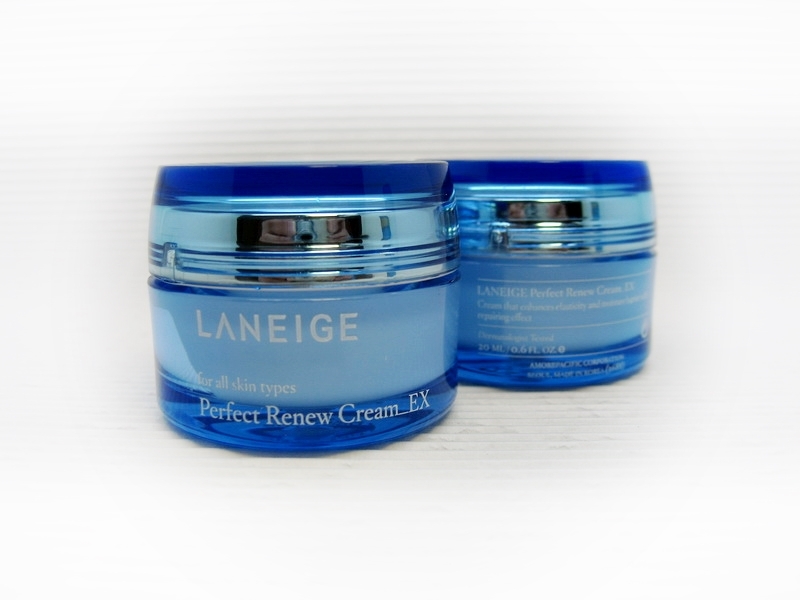 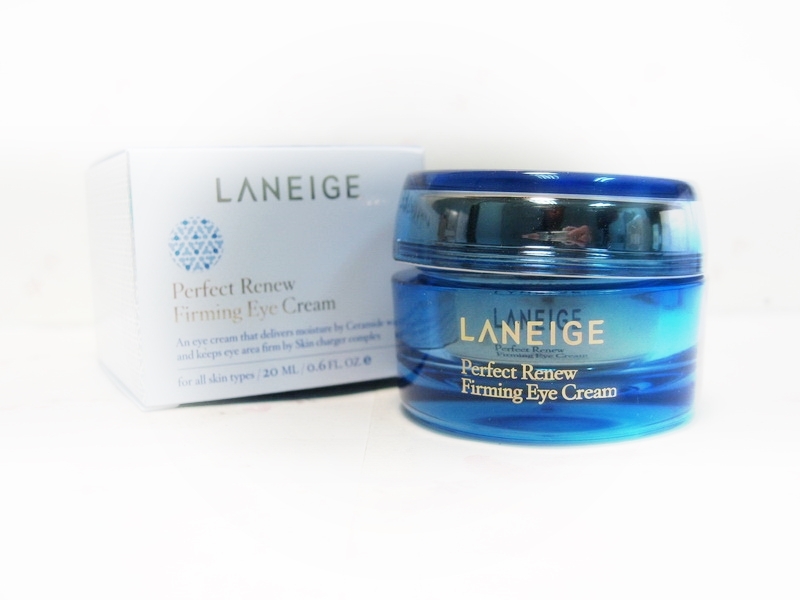 ❥ LANEIGE Perfect Renew Cream_Ex (50ml. 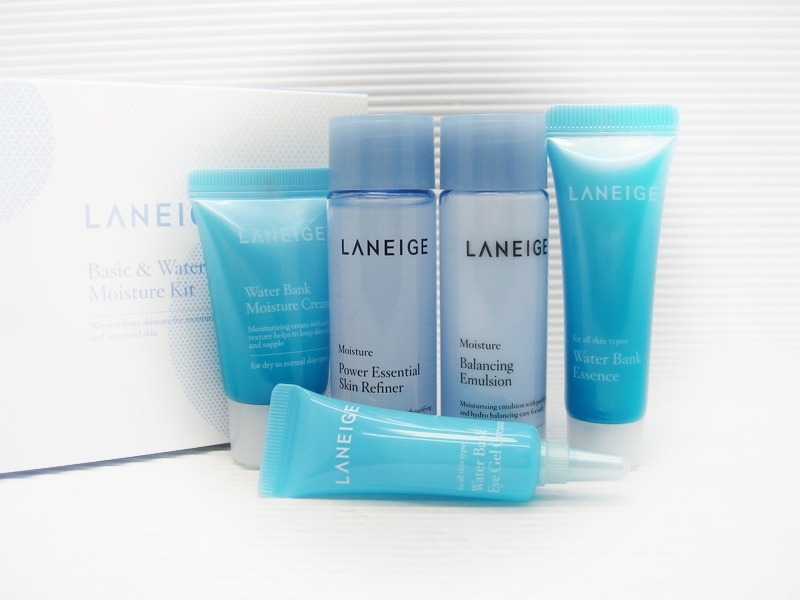 2200.- / 20ml. 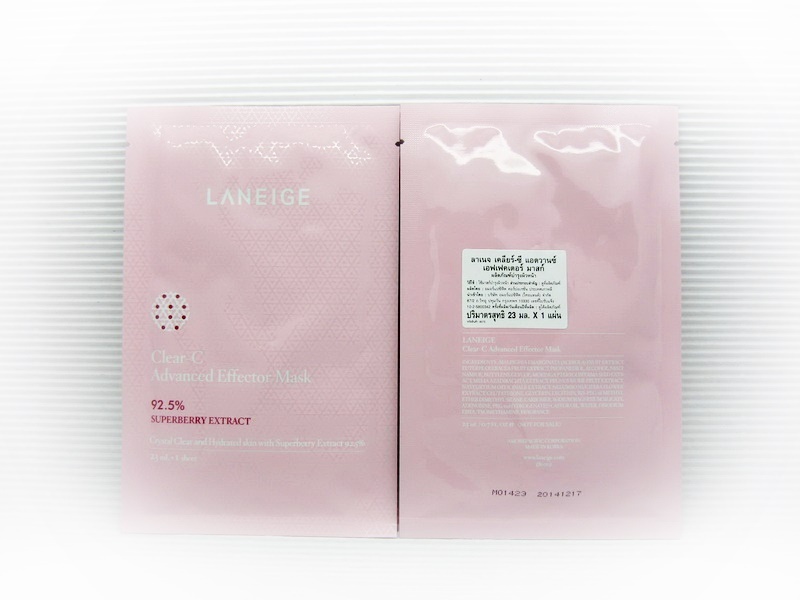 880.-) กระปุกขนาด 20ml. 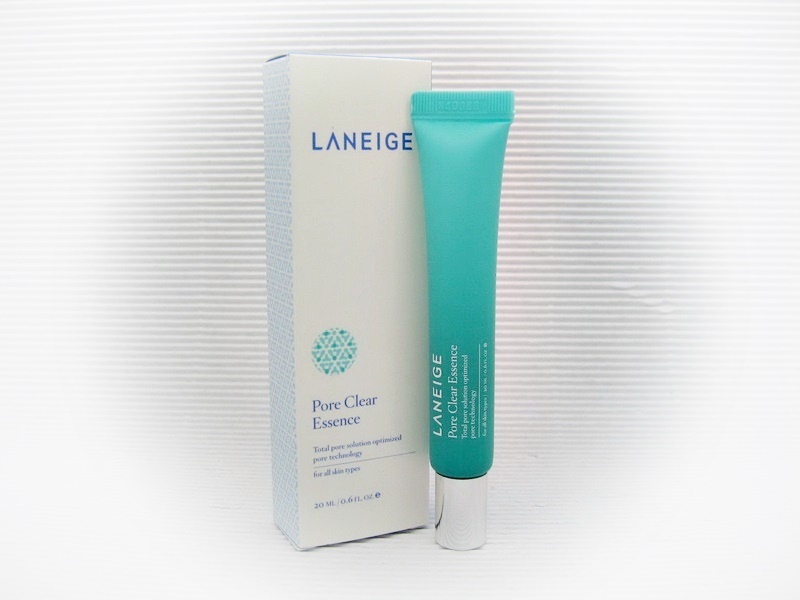 ❥ LANEIGE Perfect Renew Essence_Ex (40ml. 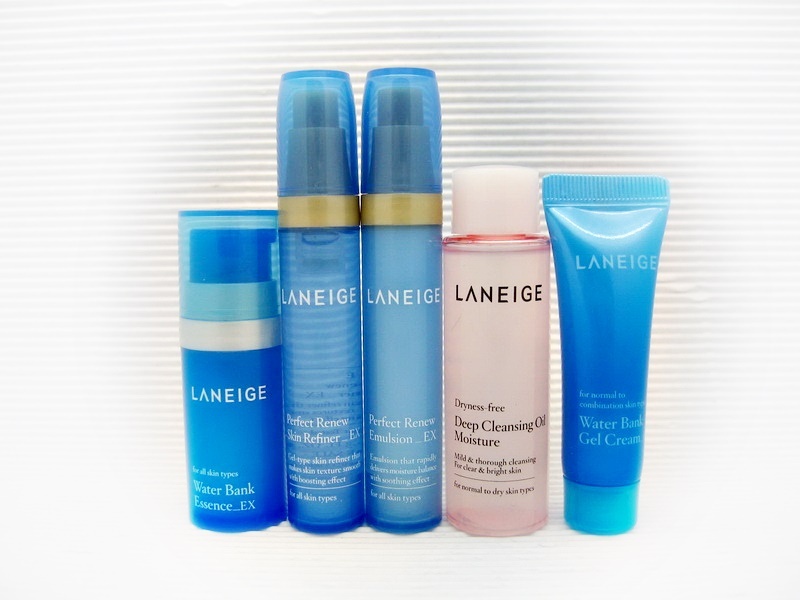 2450.- / 5ml. 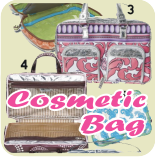 306.-) ขนาด 5ml. 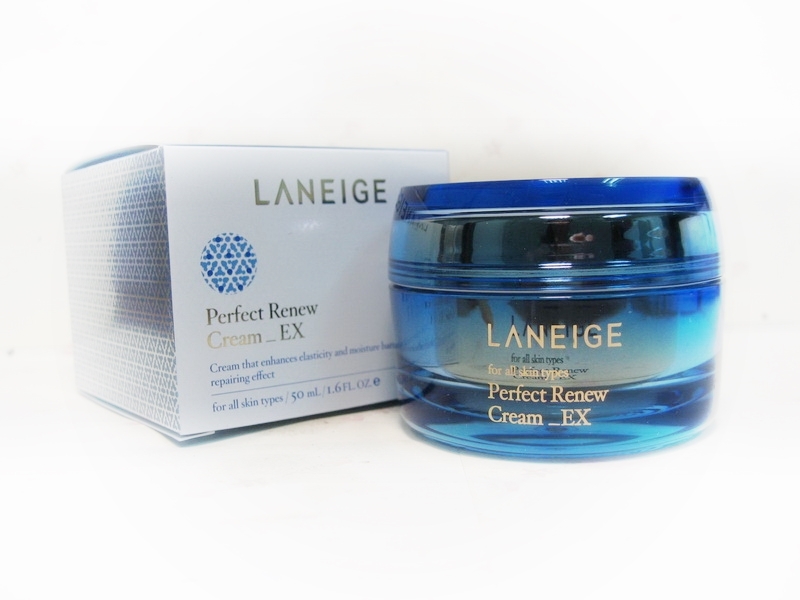 ❥ LANEIGE Perfect Renew Cream_Ex (50ml. 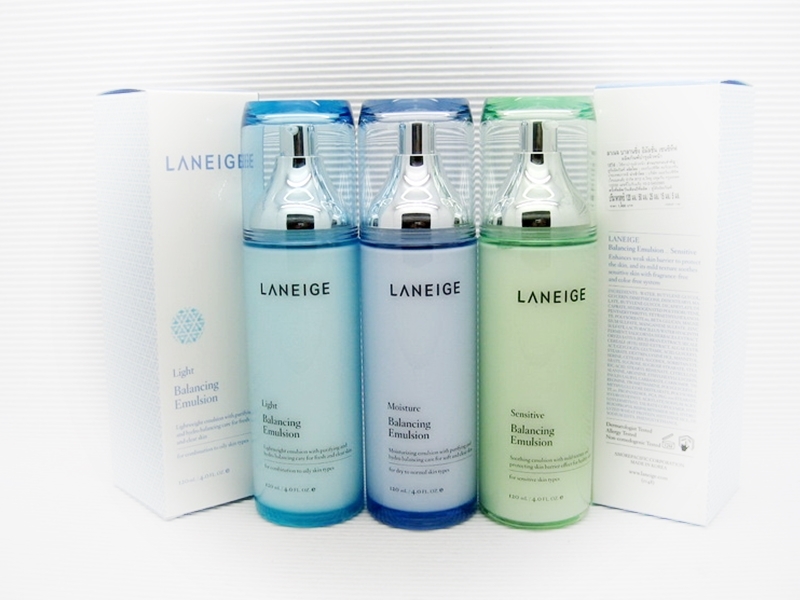 2200.- / 10ml. 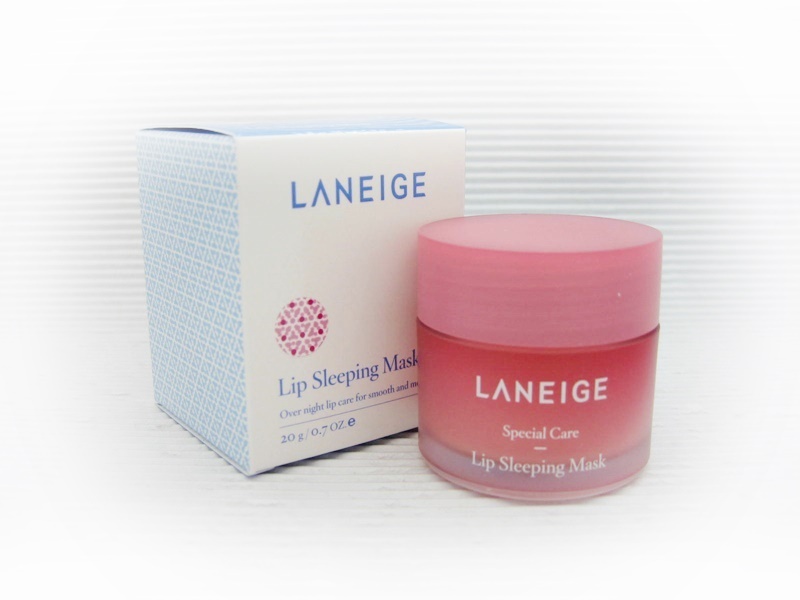 440.-) ขนาด 10ml. 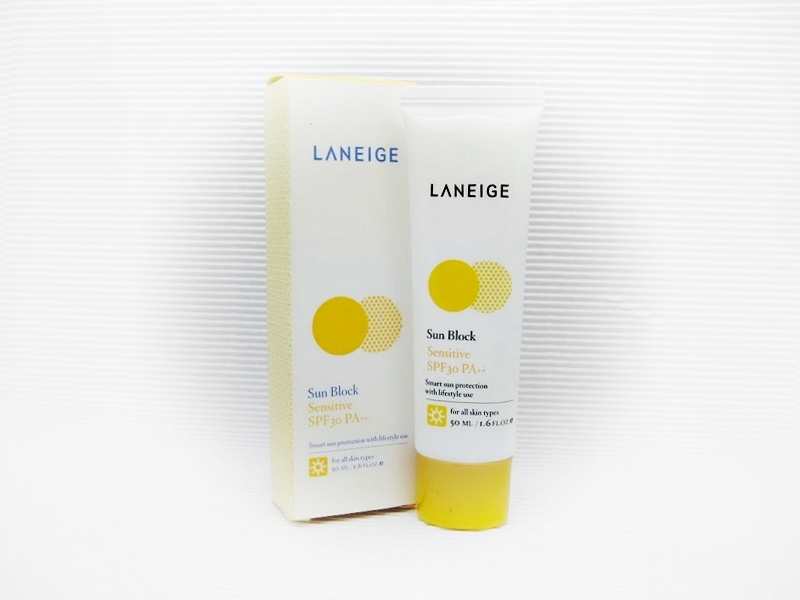 ❥ LANEIGE Water Supreme Primer Base SPF15 PA+ "No.60 Light Green เบสเขียว" ขนาดทดลอง 5ml. 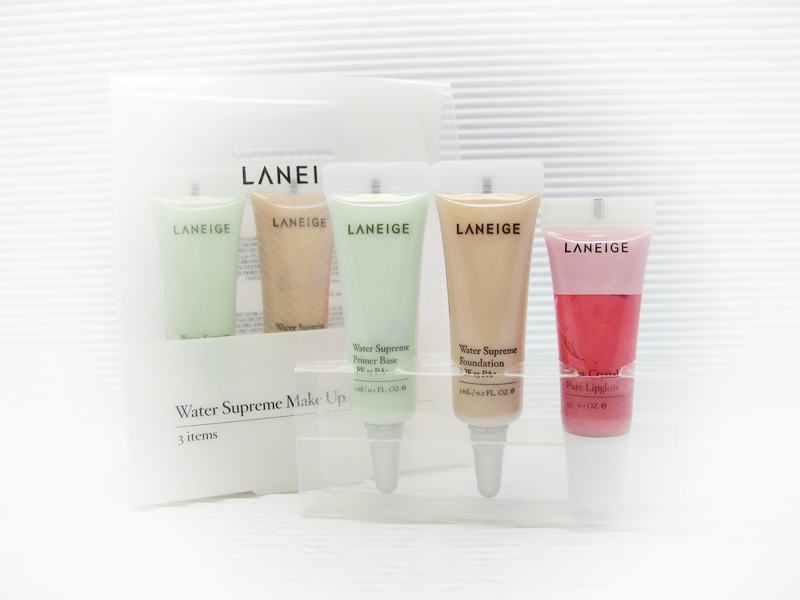 ❥ LANEIGE Water Supreme Foundation "21 Natural Beige ผิวขาว-ขาวกลาง" ขนาดทดลอง 5ml. 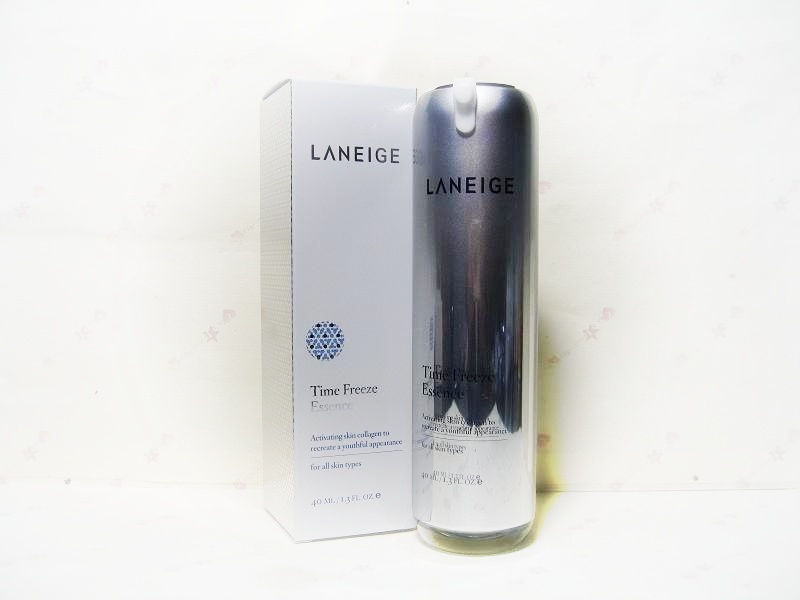 ❥ LANEIGE Snow Crystal Pure Lipgloss "LR107 Veil Rose" ขนาดทดลอง 3g. 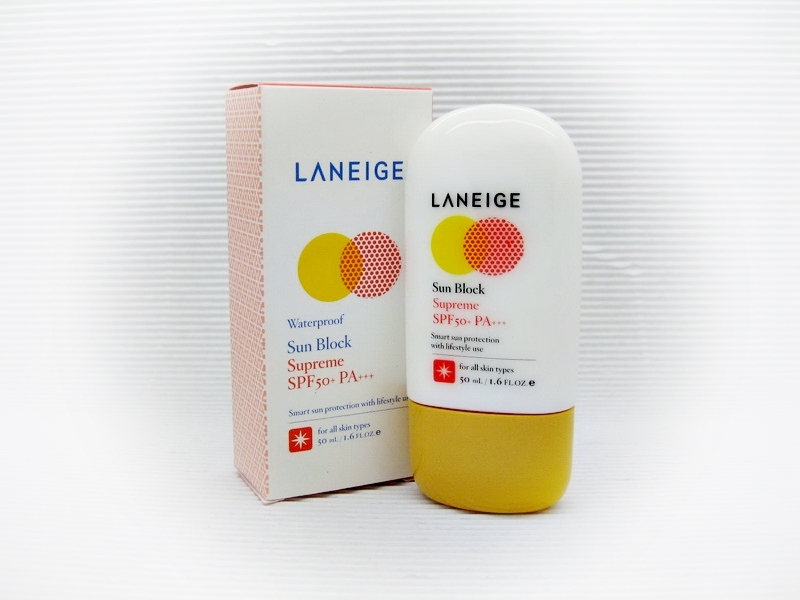 ❥ LANEIGE UV Total Base SPF40 PA++ "No.1" (40ml. 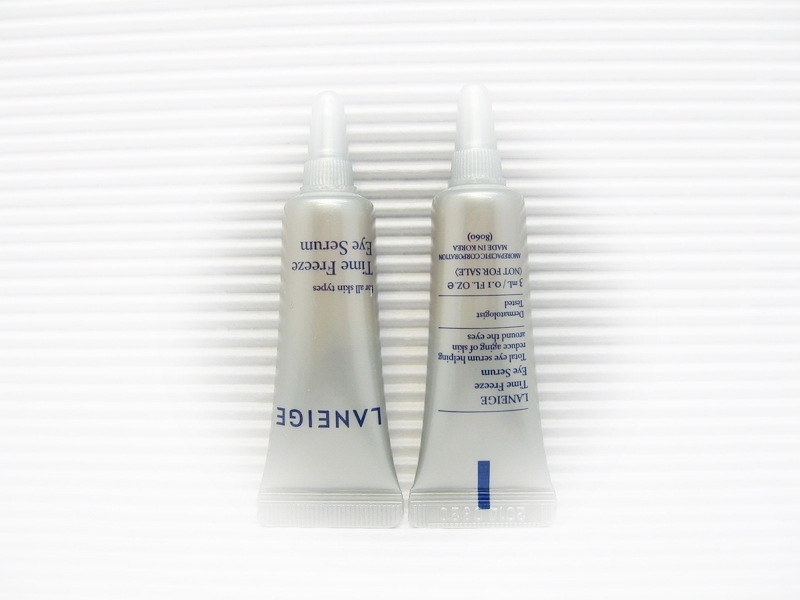 1200.- / 10ml. 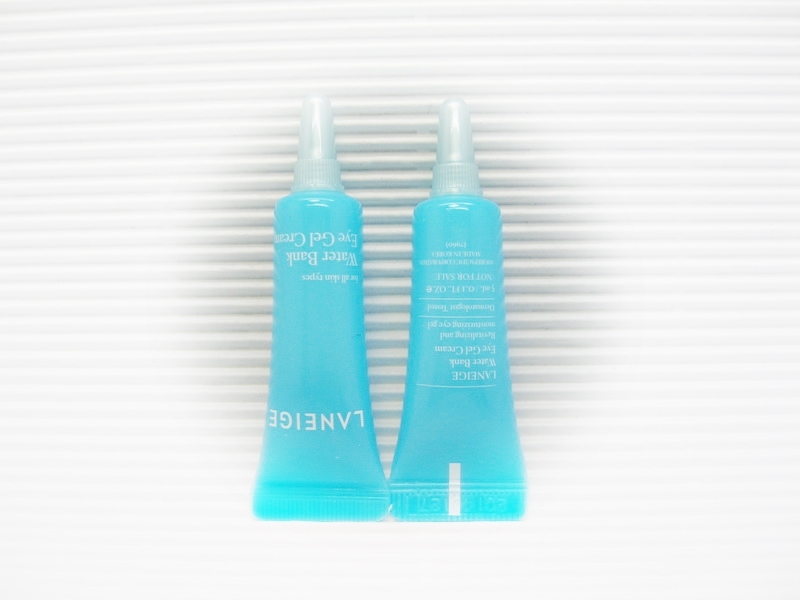 300.-) ขนาด 10ml. 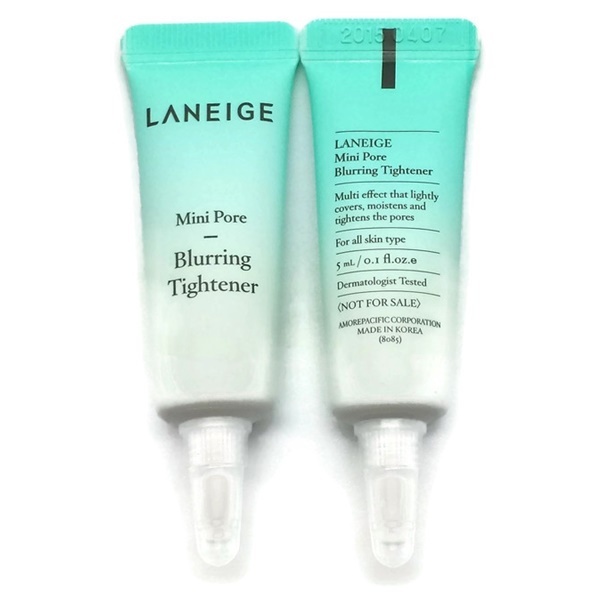 ❥ LANEIGE Shimmering Multi Cream (40ml. 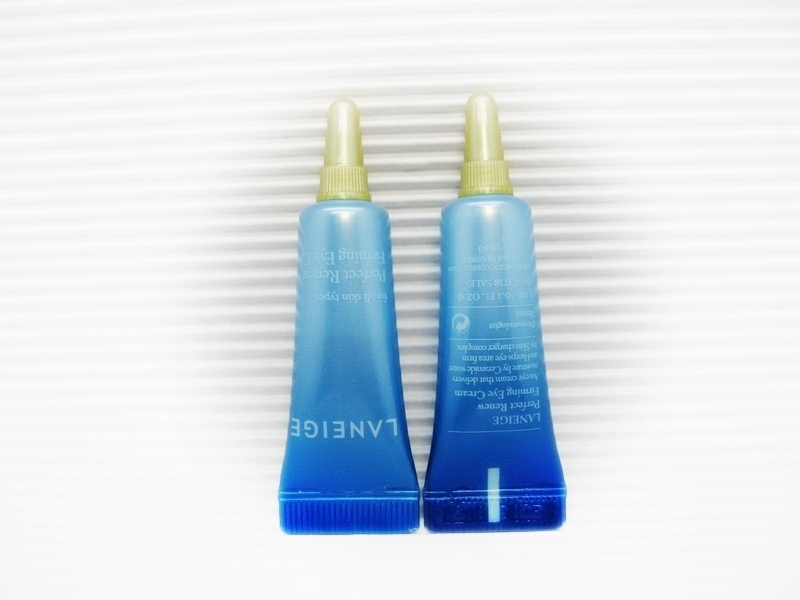 1200.- / 10ml. 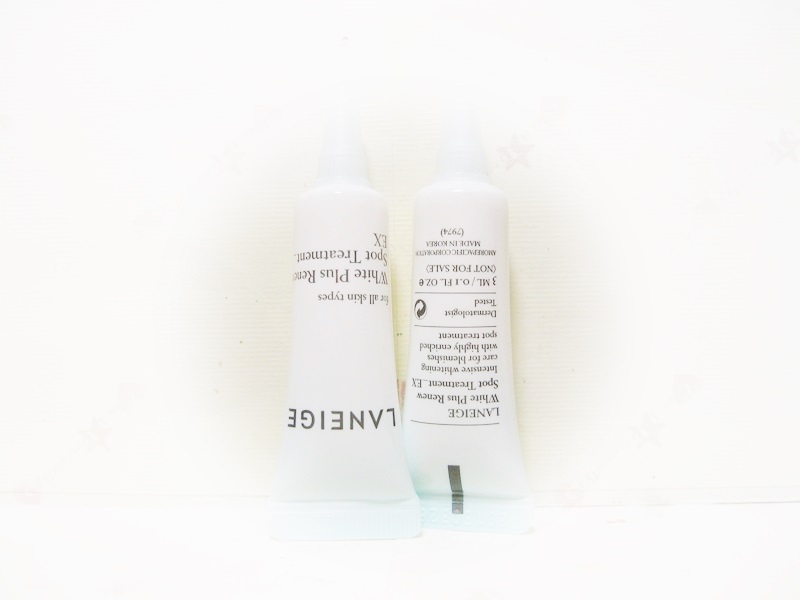 300.-) ขนาด 10ml. 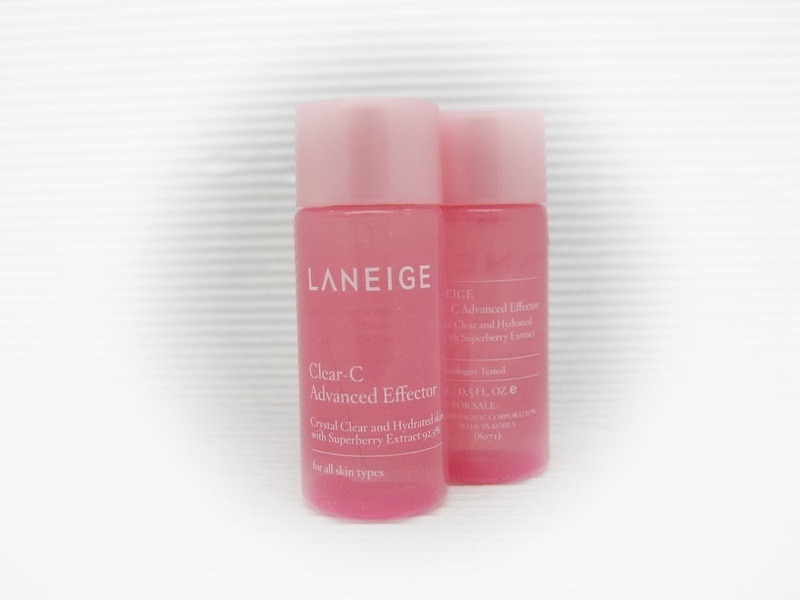 ❥ LANEIGE Snow Crystal Shimmer Lip Gloss "LR104 Pink Glow" 3g. 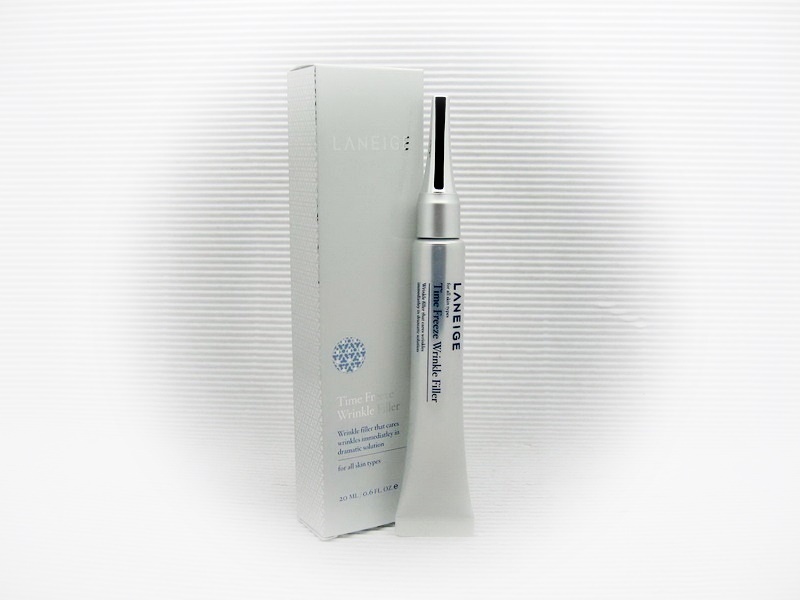 ❥ LANEIGE Multi Function Mascara 4g.